Bangalore/Bengaluru, a place known for its pleasant climate is also blessed with many beautiful places nearby. 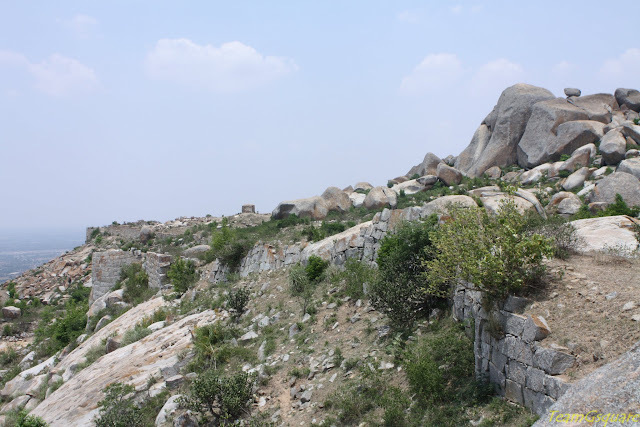 There is a plethora of places around Bangalore including forts, waterfalls, temples, wildlife sanctuaries, hills, pre-historic sites, pilgrimages, national parks, scenic spots and many such. Documenting the popular and most of the lesser known places around Bangalore has always been one of the major purposes of starting our blog TeamGSquare. Our first post was seven years ago and the journey so far has been enriching and satisfying, unpredictable at times and equally thrilling. This compilation comes as a celebration to mark our blog anniversary. As a part of it, we have made an effort to bring out a list of 101 interesting places we have visited near Bangalore within 125 km for weekend getaways. Out of these, information of places has been given with respect to its location, type and significance, while those which have already been fully covered in our blog with complete details are only attached with a link that will direct you straight to the page carrying its details. We also take this opportunity to sincerely and wholeheartedly thank all our readers, fellow bloggers, supporters, and well-wishers for always being with us. This post also served as an eye opener to us since almost half of these places have not featured in our blog post yet and now our task has only increased with an aim to complete this series by the year end. Though travelling is much easier than blogging on any given day for us, blogging about a place gives us a different insight altogether and we enjoy both of them thoroughly. The challenge for the next year is to regularly update our blog which has lied dormant since long (over the last 2 years) owing to various reasons and has come alive through MP Diaries. So far, the year 2017 has been good with this being the 20th post already, which equaled the total number of posts written by us for the entire year of 2016. A special mention that there are many other places that are worth a visit around Bangalore and we shall keep updating our list as and when we visit them, also in this list below we have only selected the places in Karnataka. 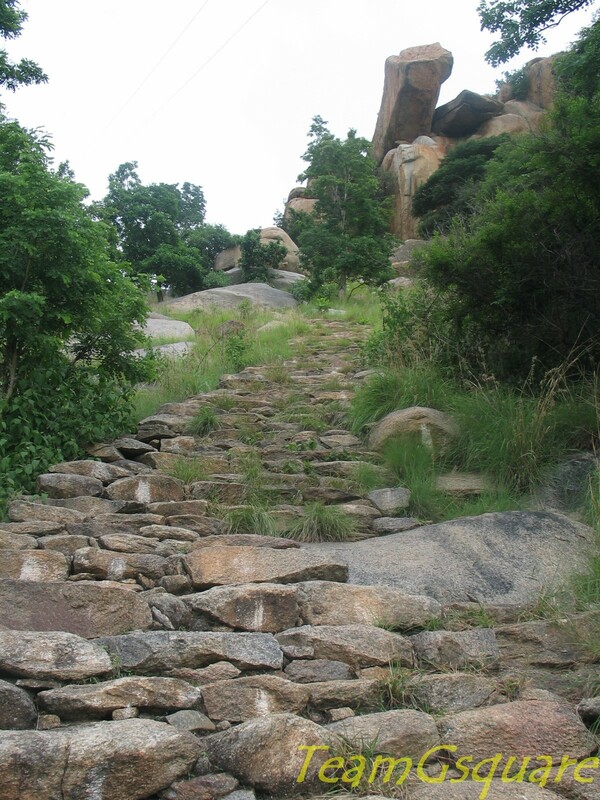 Word of Caution: Trekking at many places such as Skandagiri, Madhugiri, Ambajidurga, and Bilikal Betta remains strictly banned by order since long. Hence, it is always advisable to check priorly with the locals before proceeding with trekking activity at any place in order to avoid mishappenings. Thanks to the various kings of many dynasties for having left their mark in the form of mighty forts, in and around Bangalore. Many forts being hill forts gave us the good opportunity to trek during the day and enjoy nature. About: This place is a pre-historic site recognized by the ASI. Much of it is in danger and is paying the cost of being in close proximity to the expanding Bangalore city. A little ahead of the village on the new airport road is this small fort built by local the Palegars, probably in 17th century AD. The fort walls have been demolished to make way for widening of the new airport road. 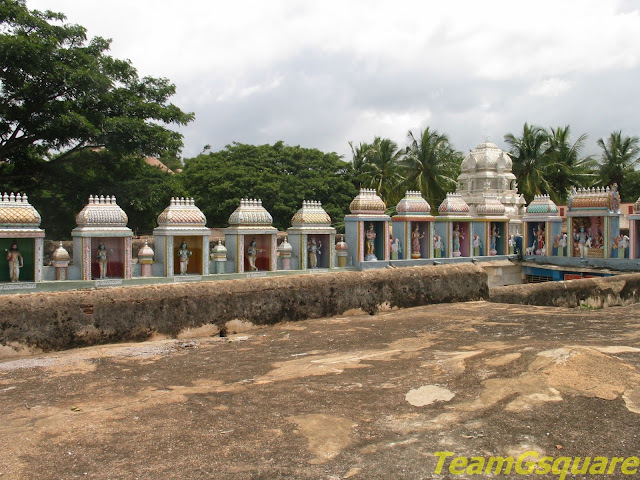 There is a beautiful temple dedicated Lord Anjaneya inside fort walls with a stepped well. About: Click here to read more. 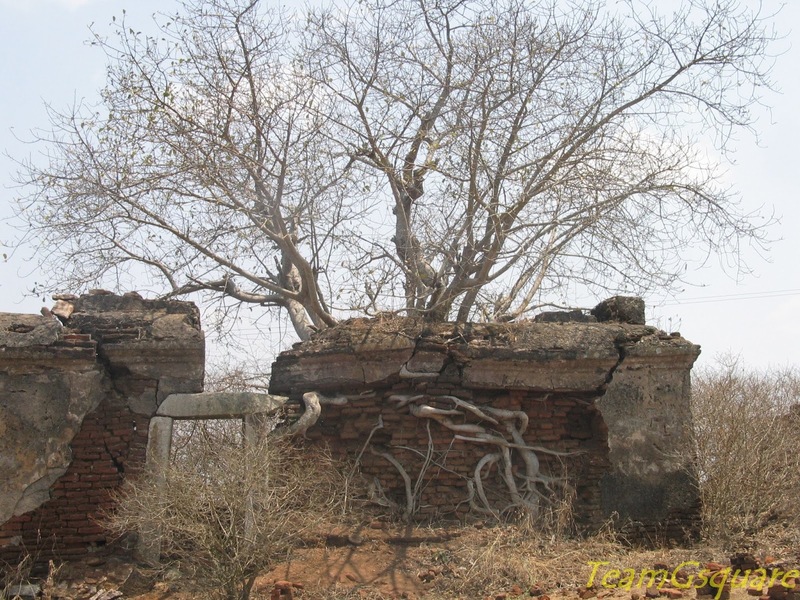 Type: Fort, Jain temple, Ruined temples, Tippu’s birth place. 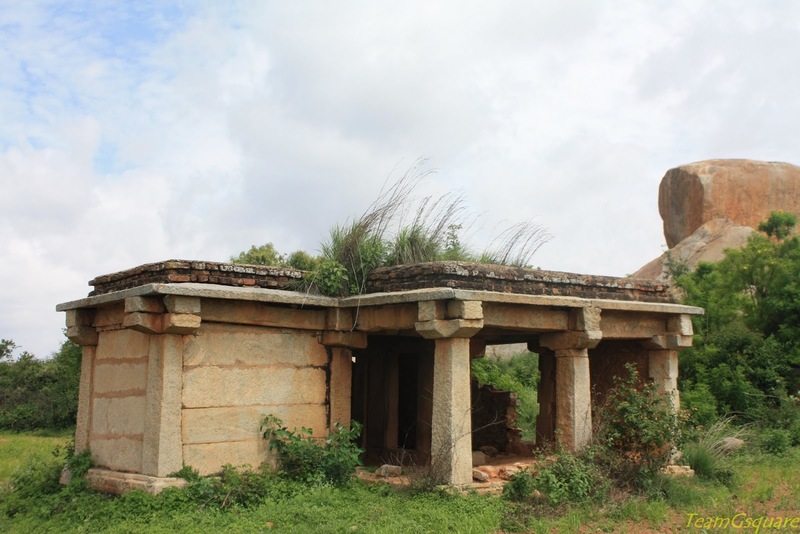 About: This place has many ruins of temples built during the Chola period; the fort here is attributed to Mallebairegowda who built it in the 15th century AD which was later occupied by Hyder Ali. It is no surprise that his son Tippu Sultan was born here. However, the British captured this fort from Tippu Sultan. 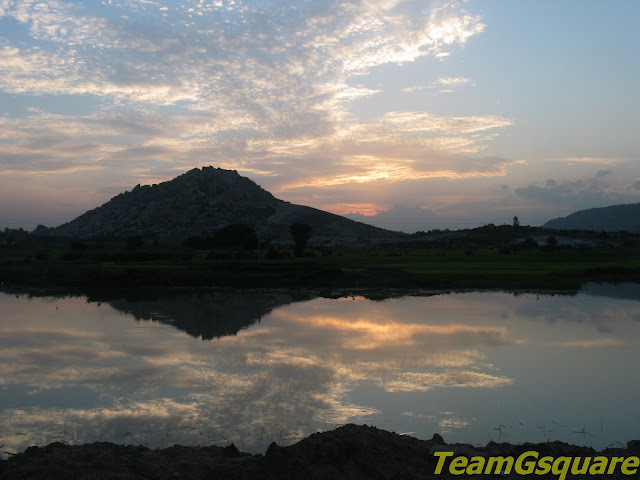 About: This is probably the most popular and favorite spot among the regular trekkers in Bangalore. 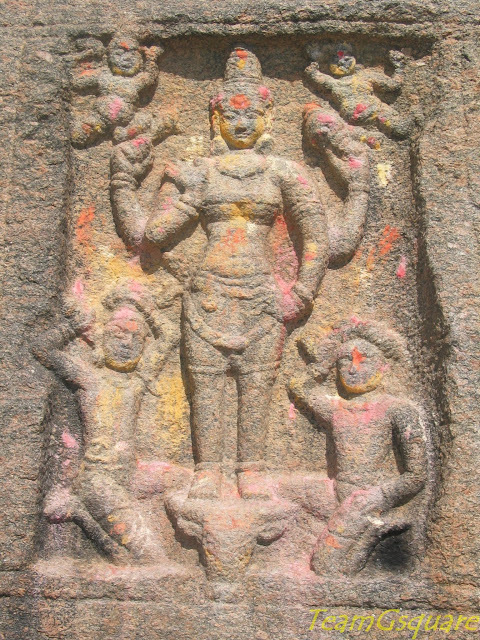 Savandurga is considered as one of the biggest monoliths around Bangalore. There are temples and a forest garden at the base of the hill. There are also ruins of a fort atop the hill. A few water ponds are seen on the way to the top. This place comprises of two hills named Kari-betta (Black-hill) and Bili-betta (White-hill) owing to its appearance. The hill is surrounded by forest. 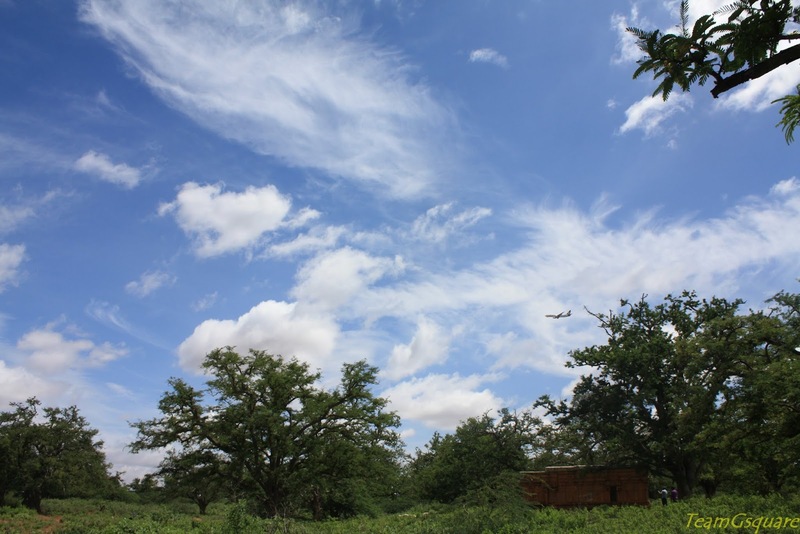 One can have a bird's eye view of Magadi town, Manchinbele backwaters and the surrounding forests. This trek will always remain close to our hearts as it was our first trek. 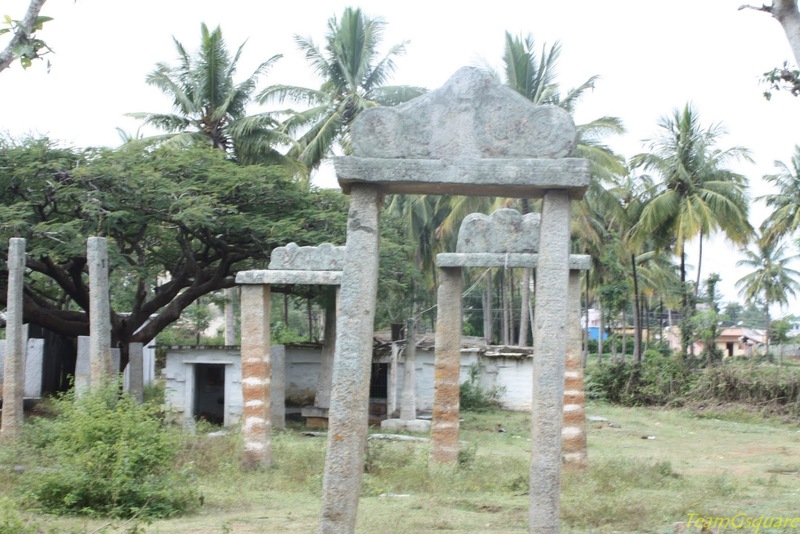 About: Kempe Gowda, the founder of Bangalore was born in Magadi and also built a fort here. There are a few temples here among which the Ranganatha Swamy temple and Someshwara temple are very popular. About: There is a temple and a mosque on the top of the hill. There are many cave temples here. This place is a local pilgrimage center. Animal sacrifices to the deity are a common sight. 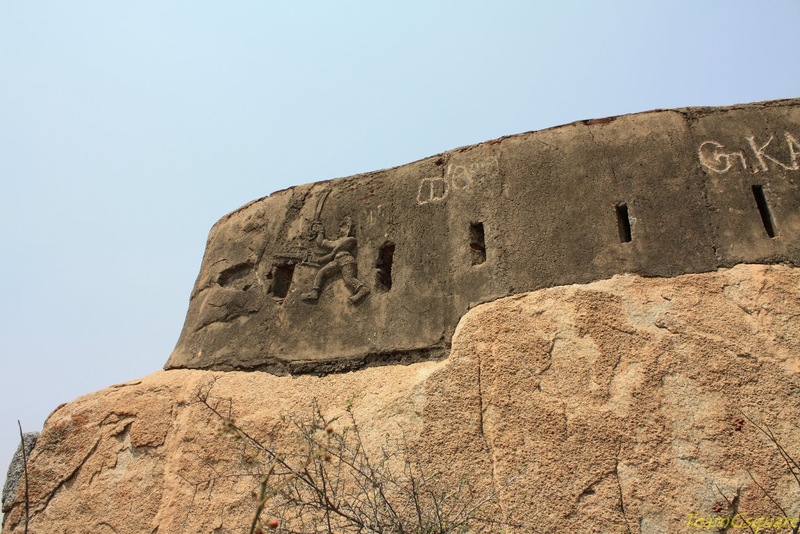 The fort is believed to have been built by Local Palegars and was later captured by Hyder Ali, Marathas, Nayakas, and the British. 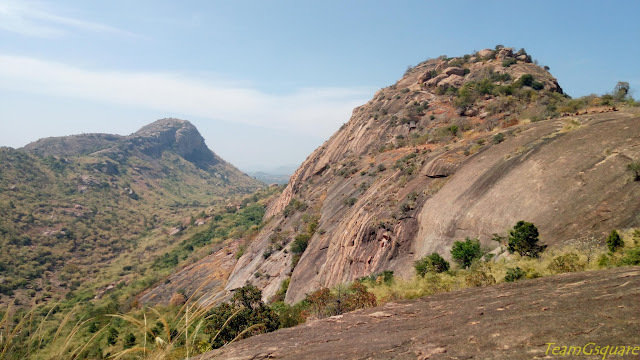 About: The rocky hills are surrounded by forests and the hilltops are dotted with several temples including the Yoganarasimha and the Bhoganarasimha temples. 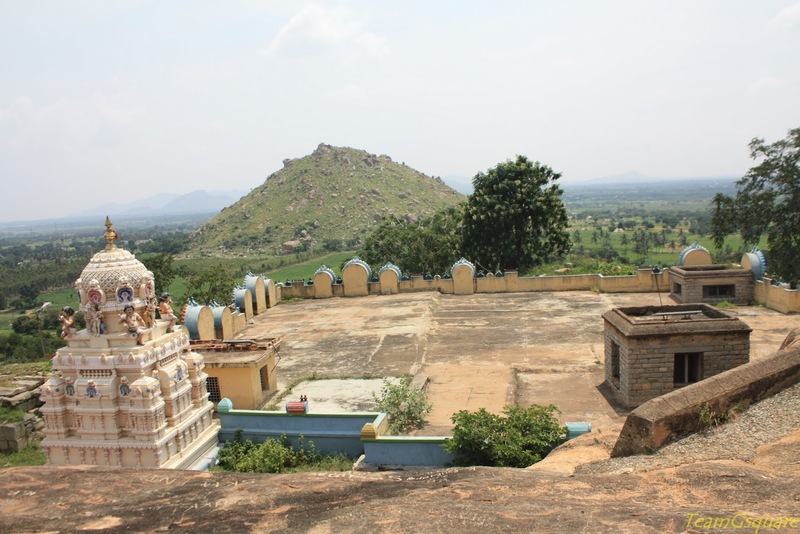 The Yoganarasimha temple is on the top of the hillock and the Bhoganarasimha temple at the hill base. There are three sacred ponds or Kalyanis here called by the names of Narasimha-theertha, Parasara-theertha and Pada-theertha. About: This place is very close to Ghati Subramanya. It is a 7 tiered fort out of which the remains of only 3 tiers are found today. There is a Shiva temple on the peak. There is another temple and two lakes at the base of the hill. 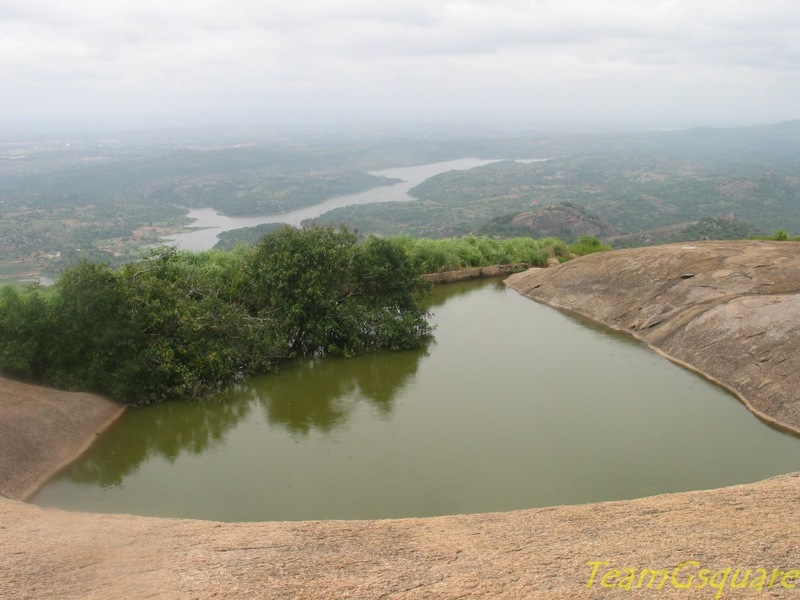 One can have a bird's eye view of Ghati Subramanya, the lakes and the railway track from the peak. About: This place was the Ramghad of Sholay, the famous Hindi movie. 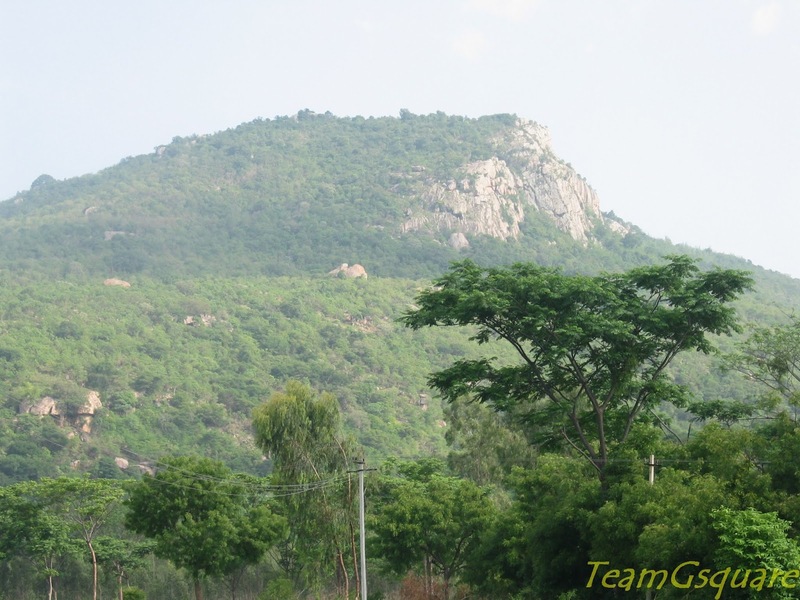 The hills surrounding Ramanagar are together known as Sholay hills. 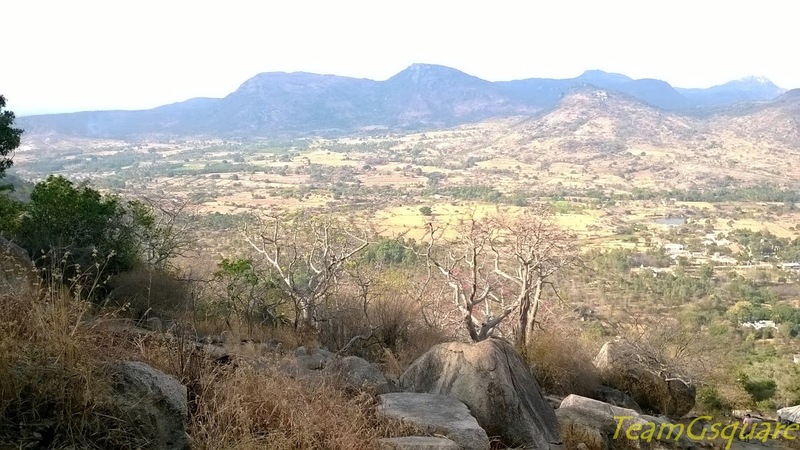 The Ramadevara betta is a popular trekking spot and is also home to the endangered Vulture. 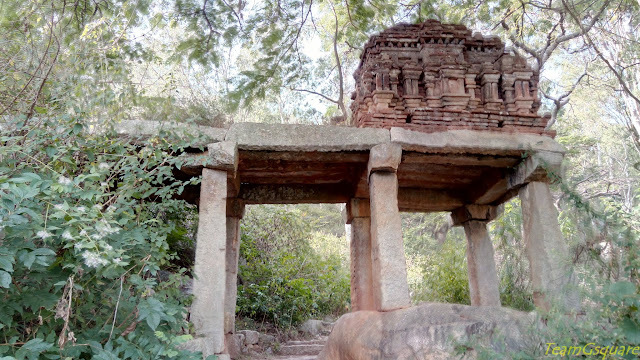 About: This is another very popular spot around Bangalore, the history of which dates back to the Hoysala period, with the popular story of Queen Shanthala, the wife of King Vishnuvardhana committing suicide here. 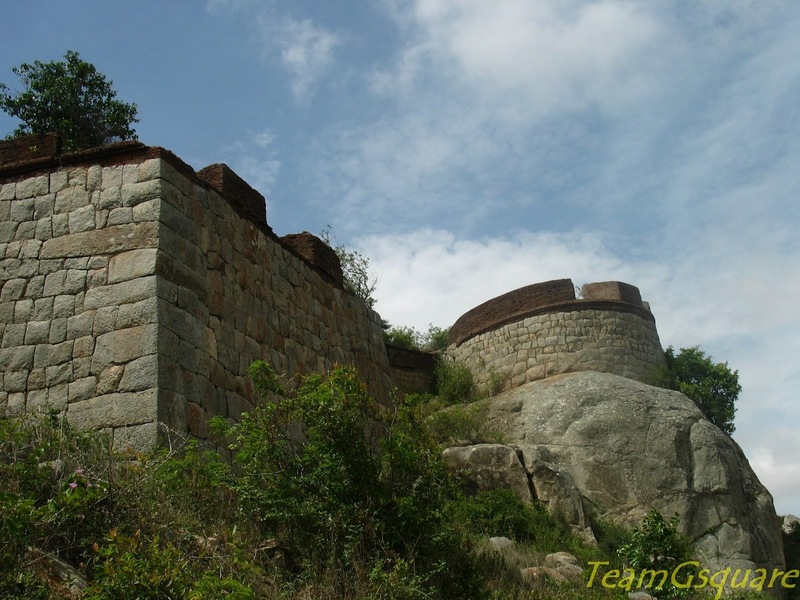 The fort was built by the Vijayanagara kings and later improved by Kempe Gowda. There are other interesting places such as the Olkal- theertha, Pathala-gange, and Kapila-theertha which are all natural water springs found on this hill. About: This fort is believed to have been built by Kempe Gowda, the founder of Bangalore. This is a classic example of an 8 tiered fort, with the major part of the fortification still intact. There are two fortified hillocks around this village. It has a small temple dedicated to Lord Shiva and Nandi. Puja to the deities is performed only on Mondays and Fridays. Despite being so close to Bangalore, very few people are aware about this place. 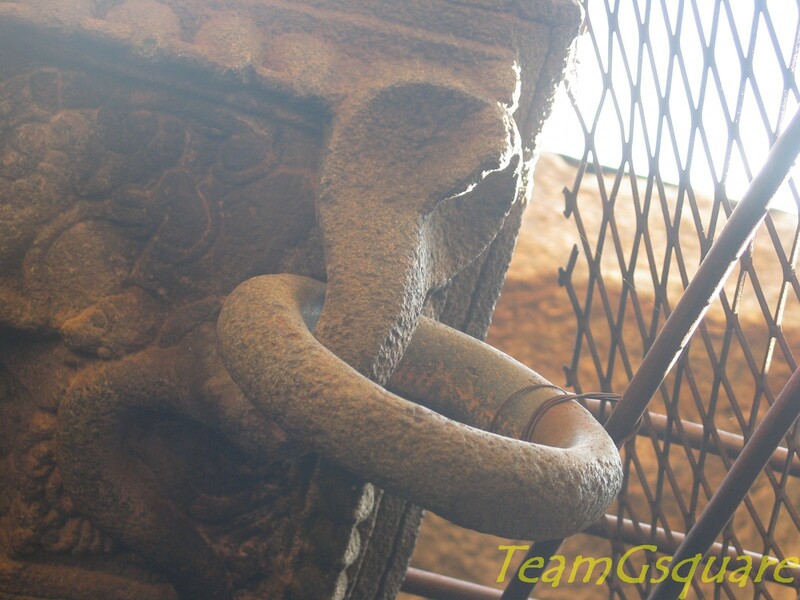 About: There is a temple dedicated to Goddess Kabbalamma at the hill base. This is a local pilgrimage center. Ruins of the fort and other structures are visible on the way to the peak. There are two temples at the top, one dedicated to Goddess Kabbalamma and the other to Lord Shiva. All the temples remain open on all days. About: It falls under the category of lesser explored places. The climb is easy though there are no fixed routes to the top. There is a small temple on the top and some old ruins. The temple is dedicated to Lord Rama. Click here to read more. About: This is the most popular spot around Bangalore for people to visit; it attracts all kind of people. Though this place can get really crowded most of the times, the best way to enjoy is to reach the top by climbing the steps laid on the other side. It will surely be less crowded and extremely rewarding. 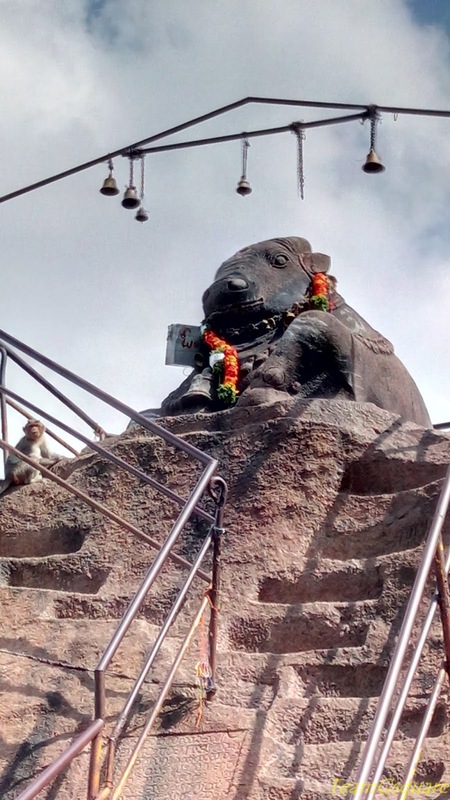 About: This place is also called as ‘Kurmagiri Kshetra’ and is one among the very few places with a temple dedicated to Lord Kurma (tortoise avatar of Lord Vishnu). Locally the Lord is known as Hikkalappa and there is a small temple nearby dedicated to Lord Vishnu consorts Bhudevi and Sridevi. This temple is recognized by Tirumala Tirupati Devasthanams (TTD) as one among the 108 sub-shrines of Tirupathi, which has led to development of this place. About: Clickhere to read more. About: This one among the unknown places around Bangalore. 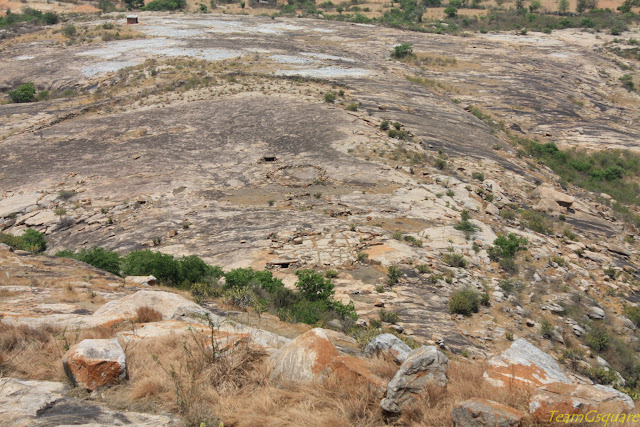 The hill is located about 2 km from the main village of Hosadurga. There is a five tiered fort with most of the fortification ruined. There is s small mandapa on the hill top with a pillar. The pillar houses a beautiful carving of Chaturbhuj Rama and the same is believed to have been installed by Vyasa muni. The fort seems to be a 16th century structure built by the local Palegars. 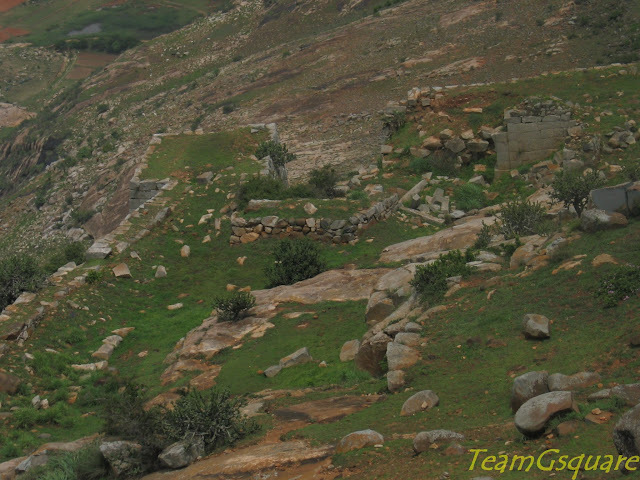 About: This hill is located about 2 km from the main village and now a road has been laid till half way. Here on the trek distance is short and access to the hill top is easy which has made way for people creating nuisance here. The nice and cool breeze makes it a perfect place to spend on a summer morning. There is a temple dedicated to Lakshmi Narayana. 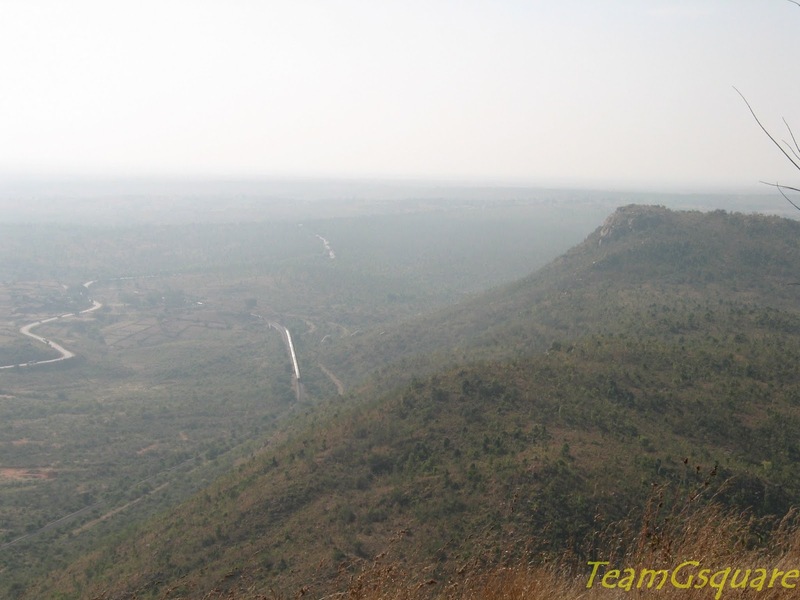 About: Gudibande fort was built by a local chieftain named Byre Gowda. 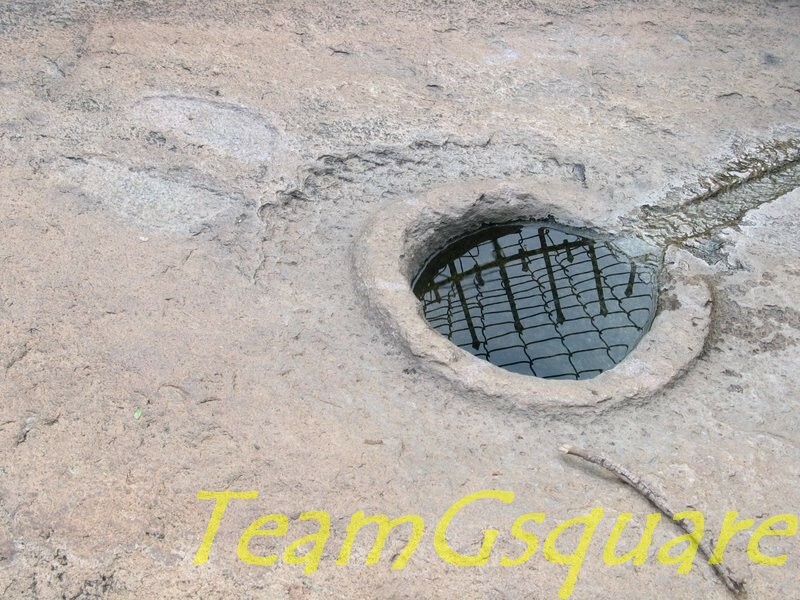 With more than 13 (locals say there are 19) rock ponds at different levels, this fort seemed to have a perfect rainwater harvesting system. There is a temple on the peak dedicated to Lord Shiva, which has been renovated recently with marble flooring. 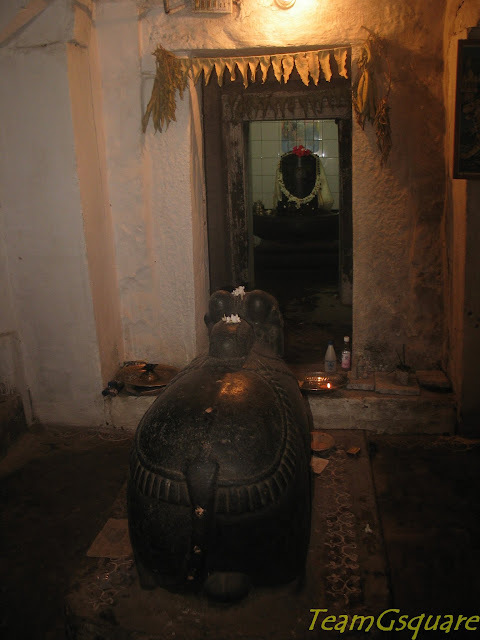 The Shiva linga in the temple is believed to be one amongst the 108 jyothirlingas in India. When viewed from here, the Byrasagara Lake looks like the map of India. About: The fort here was built by Rangappa Nayaka, Chieftain of Ratnagiri and was later captured by the Bijapur Sultans, then by the Marathas, Hyder Ali, Tippu and lastly by the British. No efforts are undertaken to restore this beautiful fort. There are many structures in the town of Sira such as the Ibrahim Rauza, Malik Rehan Dargah, Khan Bagh and many more. About: Click hereto read more. About: Avani is one among the few places where there is a temple dedicated to Goddess Sita. 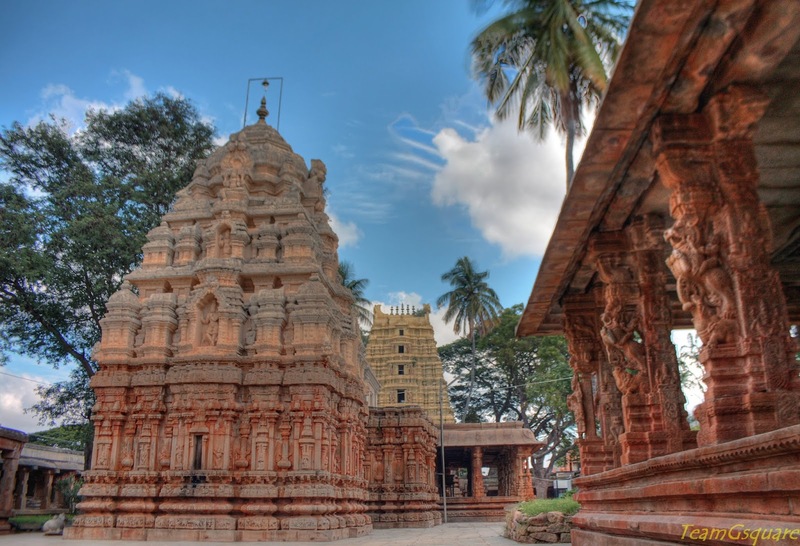 There is a beautiful temple at the base of the hill known as Ramalingeshwara Temple. 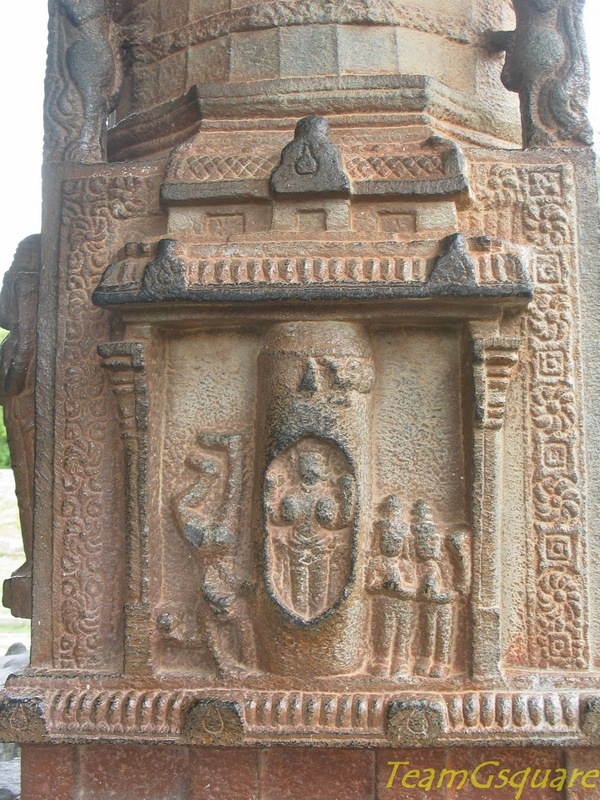 The Shiva linga here is believed to have been installed by Lord Rama himself. The fort on the hill is in a state of decay and ruin. There is also a Shringeri Mutt here. About: The Someshwara temple here was built by Chola kings and is unique since it doesn't have any kind of foundation. There is a temple dedicated to Lord Ganesha whose idol is big and beautiful. This temple is very popular among the locals and visited by many. There are a few ruined temples spread across the village. The fort here is in a state of neglect. About: This hillock is situated right at the entrance of Narsapura Industrial Estate, and has a temple dedicated to Lord Hanuman. There are many caves to explore here. 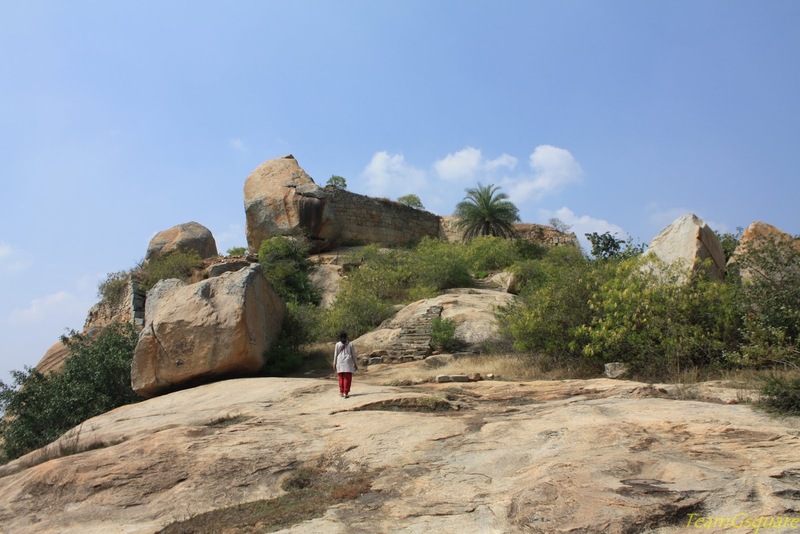 About: This hillock is a favorite hangout for south Bangaloreans and is among the last remaining forest patches around Bangalore. This place is a hit among trekkers, joggers, walkers, cyclists and naturalists. Sadly, it is again on the verge of extinction due to the rapidly expanding Bangalore city. 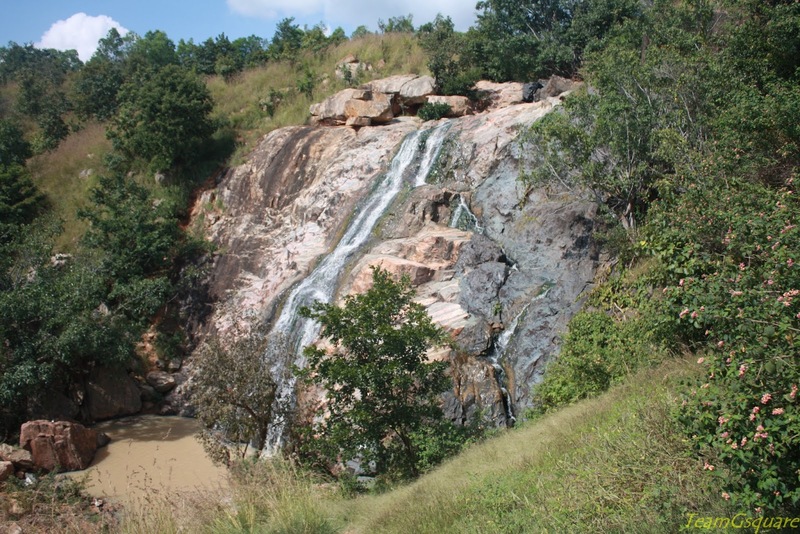 About: This waterfall comes under Bannerghatta National Park range and is a seasonal waterfall. The setting of this falls is extremely beautiful, but sadly being close to Bangalore, this place and the like have been subjected to severe littering. About: This place is popularly referred as "The Big Banyan Tree" and the Banyan tree here is believed to be 400 years old. This is one among the largest of Banyan trees in the country. 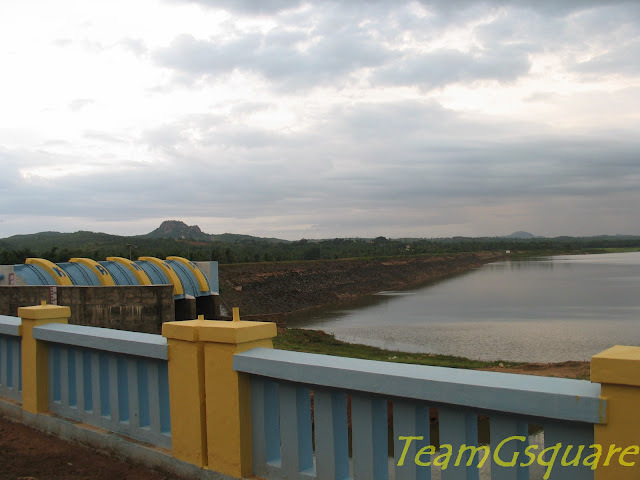 About: TG Halli Dam or the Thippagondanahalli Reservoir, also known as Chamarajsagar is located at the confluence of the rivers of Arkavathi and Kumudavathi. 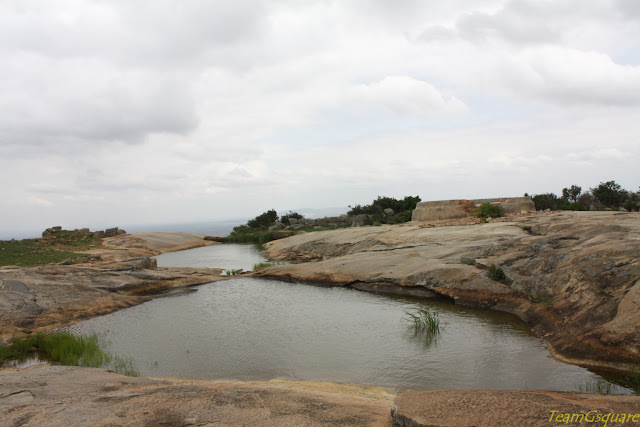 It serves as a major source of drinking water for Bangalore west. 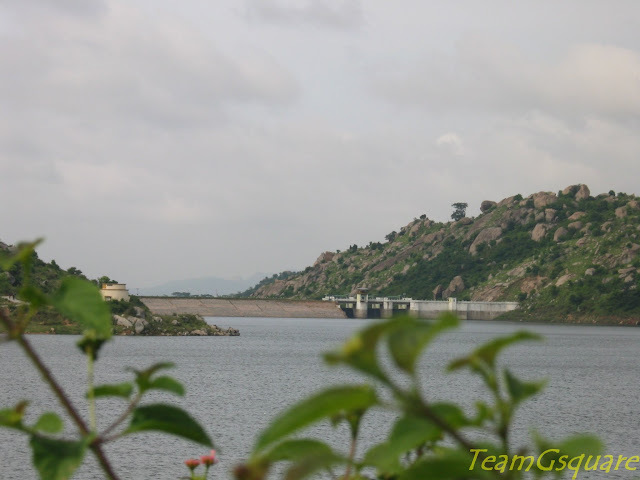 The dam was built under the supervision of Sir M Visvesvaraya. Entry into the dam premises requires prior permission from concerned authorities, although there are many ways one can enjoy the dam surroundings. This place is a heaven for bird watchers. Read more. 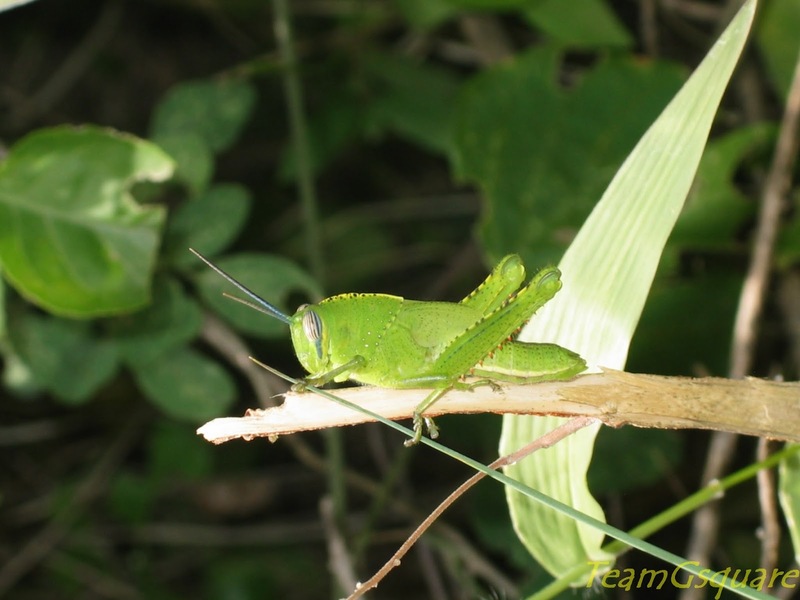 About: The grassland of Bangalore is a wonderful place for bird watchers. The vast expanse of the grass land is quite interesting. There is large lake here; however, the failing monsoons and irregular constructions around have impacted the water levels in a significant way. There are various units such as cattle rearing farm, goat/ sheep rearing training centre, poultry training centre and many animal husbandry institutes here which provide valuable extension services to interested people. About: Manchinbele is a small reservoir. The dam is built across river Arkavathi mainly for irrigation purposes and providing drinking water to the town of Magadi. Many adventurous activities such as Kayaking and the like are carried out here. It also proves an excellent place for bird-watching. About: A small hill and a wonderful place to enjoy a short trek. 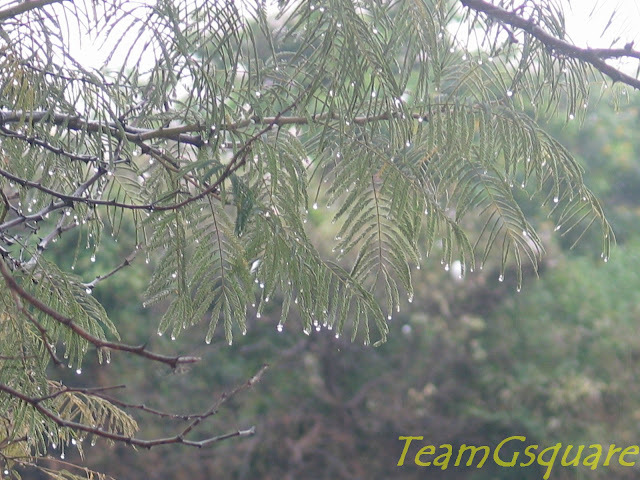 There is a small lamp post on the hill top, which also serves as a part of festive celebration during Ugadi festival. It is also a good place for bird and butterfly watchers. About: This is an artificial lake. A dam constructed across river Kanva forms the reservoir. It is a good place for bird watching. 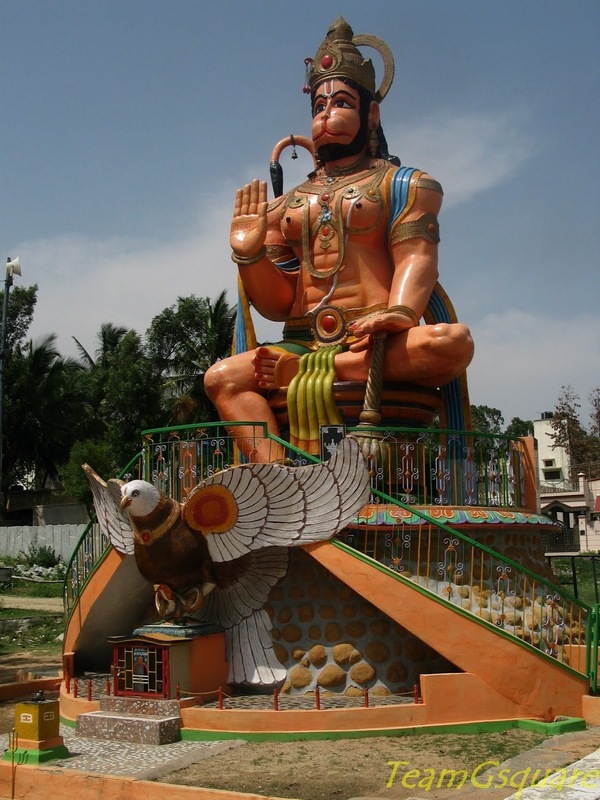 There is a temple in Kengal, dedicated to Lord Hanuman which is also worth visiting. 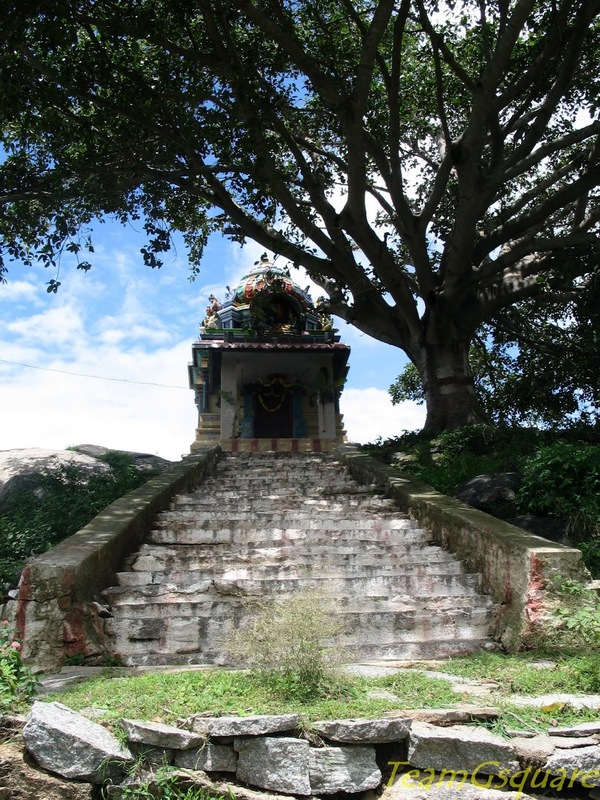 About: Situated in the Shathashrunga mountain range in Kolar, Antharagange is a well-known destination among trekkers apart from being a pilgrimage center. 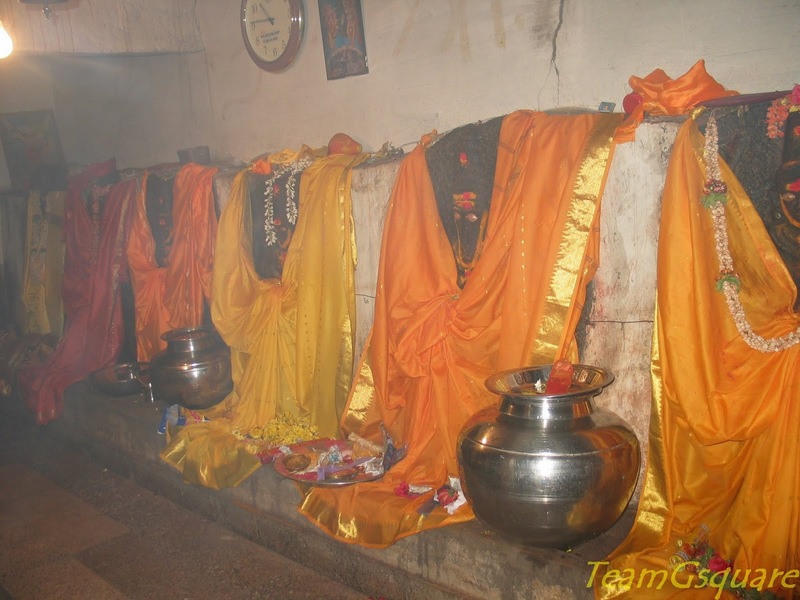 The etymology of Antharagange is attributed to the two words namely, Anthara meaning deep and Gange meaning the Ganges or the holy water in Kannada. There is a temple atop the hill dedicated to Lord Shiva. The temple houses a pond which gets continuous supply of water by a spring which is spouted out by a stone carved bull (Basava). 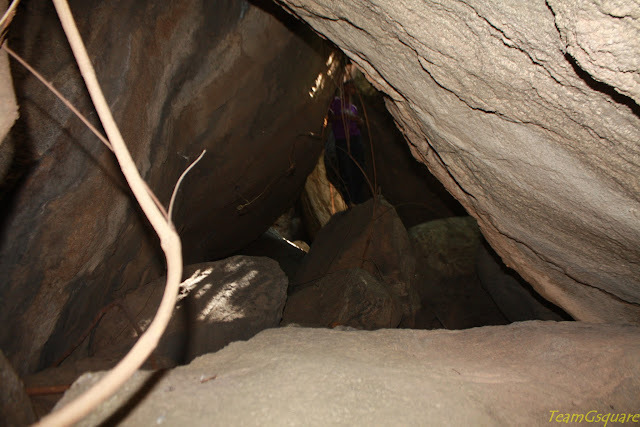 One can also explore the many caves around at Antharagange. 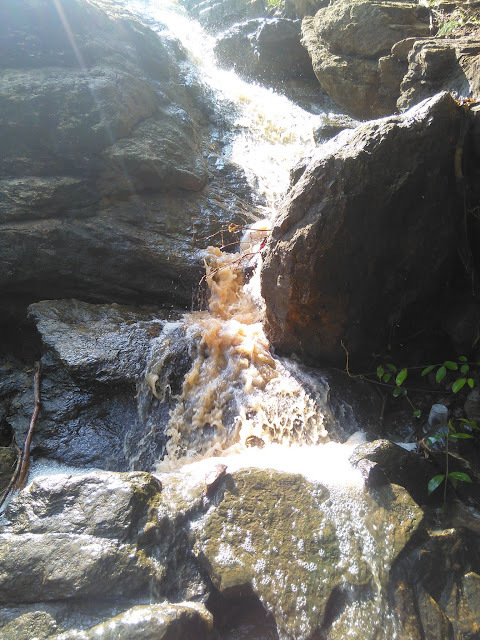 About: A beautiful seasonal waterfall where river Arkavathi takes plunge before meeting the Cauvery at Sangama. About: This place is the confluence of rivers Arkavathi and Cauvery. One needs to cross the river and walk for about 3 km or take any other mode of transportation available to reach Mekedatu (goat's leap). It is a nice place with many picturesque hills surrounding the place. The water rapids through the narrow gorge at Mekedatu are a wonderful sight. About: Myth has it that Sri Rama on his way to Lanka halted at Namada Chilume. As he did not find water anywhere around to wet the "Nama" (a kind of paste Hindus apply on their forehead), he shot an arrow into the ground, and water sprung from there. Hence the name (Rama)-Namada Chilume. 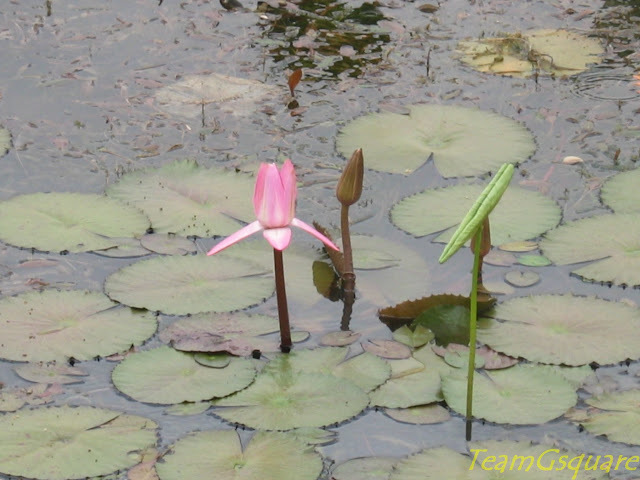 The spring is clearly visible besides which is an impression of Lord Sri Rama’s feet. There is a deer park in the garden of Namada Chilume. About: A very popular place among picnickers and birdwatchers. It is a nice place to sight migratory birds from other parts of the world. Avoid going during peak monsoons as boating facilities will be suspended due to the rise in water level. Crocodiles are common inhabitants of the river. Water birds during breeding season include the Stork (Painted, Open Bill), Spoonbill, Ibis (Black headed, White) and the Pied Kingfisher. 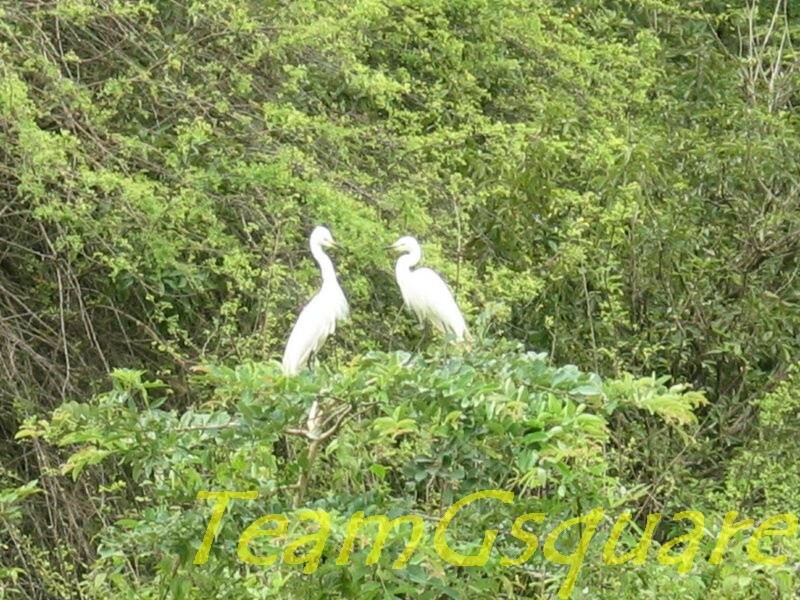 Other common birds include the Kingfisher, Egret, Heron, Cormorant, and Darter. About: This is one of the beautiful waterfalls in the country and also is one among the top 100 water falls in the world as per the World Waterfalls Database. Monsoon is the best time to visit Shivanasamudra, where river Cauvery plunges at the two places of Gaganachukki and Barachukki. About: It is one of the less explored places around Bangalore. There are a lot of temples including cave temples at the top. The place seems livelier during Tuesdays, Fridays and Sundays with special kind of pujas. About: Lord Ranganatha Swamy is depicted in the form of his first two incarnations of Matsya and Kurma avatars; unlike other temples dedicated to him. There is a cave temple dedicated to goddess Lakshmi at the hill base. The climb is very easy though it can be made interesting by some rock climbing. About: This is a popular place with people having a fair idea about it. There are many cross tracks on the way ahead but do not deviate. There are directions up to the top though confusing. The view from the top is awesome. One can see the entire region of Bannerghatta National Park on one side and the town of Kanakapura on the other. Caution: Avoid making noise and use of mobiles as it is known to distract elephants. Yes, this hill is a habitat for the big mammals. About: There are many trek routes to the top of the hill; however we chose to trek the tougher route. One needs to climb two hills to reach the peak and a word of caution as the climb gets steep at a few places. 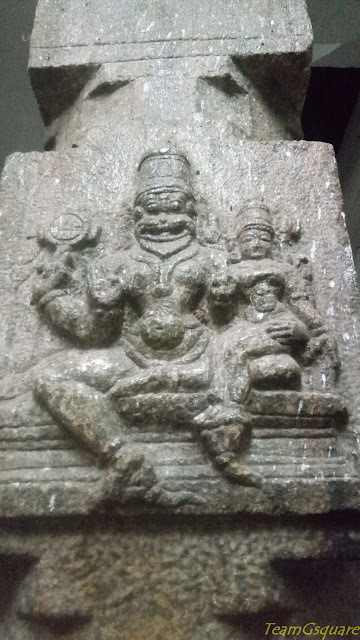 There is a small temple dedicated Lord Anjaneya. On the other side of the hill is a temple dedicated to the goddess Bananthimari (fertility goddess). Many childless couples visit this deity and make a wish for a child and many get the same granted too. 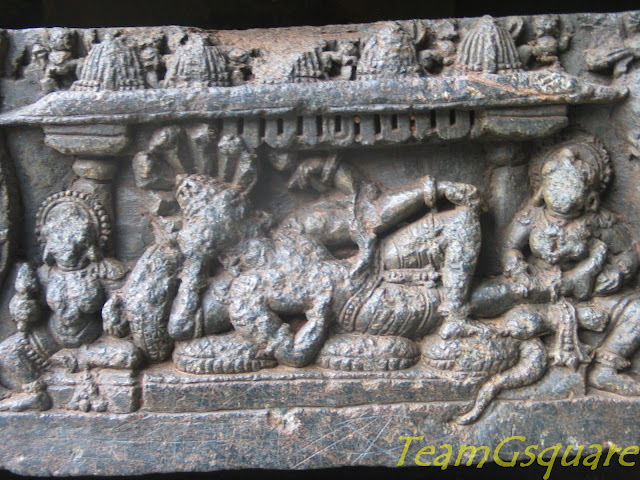 This Goddess is very popular locally, thus a road has been carved out up till the temple. The same can also be approached from Kanakapura - Sathnur road. 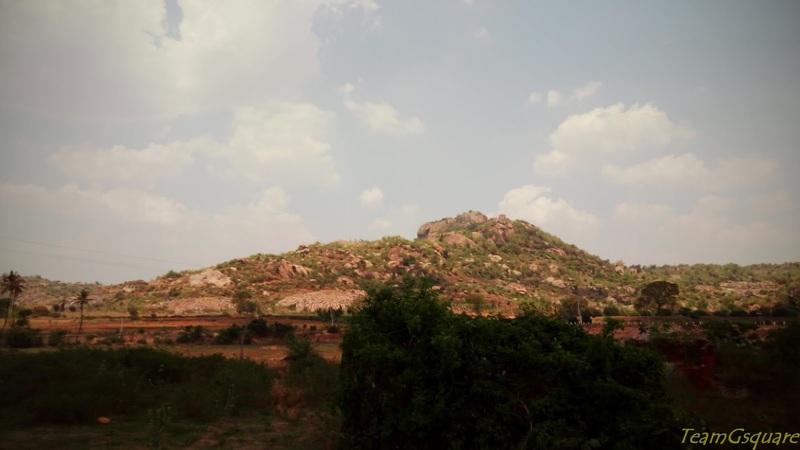 Due to the presence of many bears, this hill is also called as Karadi betta. About: There is a Jain temple at the top of the hill, a small lake besides it and a few ruined structures scattered here and there. A huge lake is present behind the hillock (we are not aware of its name though) which is a good place to spot water birds. About: There is a big hill close by to the village of Kendatti. About half way to this hill is a very old temple dedicated to Lord Shiva probably built by the Chola kings. The last stretch of climb is interesting and views from the top are amazing. There is a lamp post at the summit which is lit during the festival of Ugadi. About: There is a big temple dedicated to Lord Shiva here along with an ashram of Swami. Location of this temple is quite serene and the temple is open all throughout the day. Also anna prasadam is served here post noon pujas. About: There is a big temple dedicated to Lord Veerabhadraswamy. 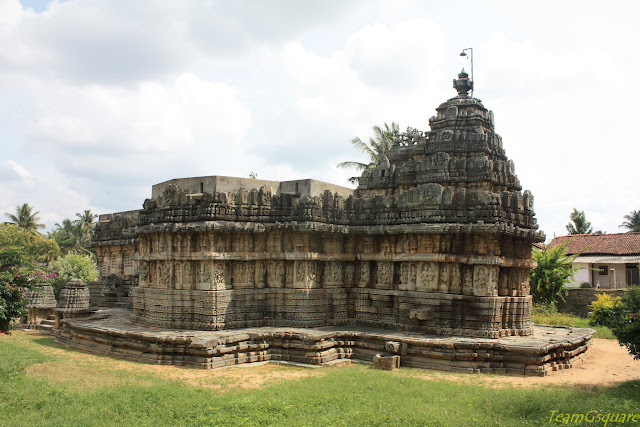 This temple was built during the Ganga period and later renovated successively by the Cholas, Hoysalas and Vijayanagara kings. This place is associated with various legends and rituals. One among them is the offering of a finger to the god, which was banned by the Government about 75 years ago. 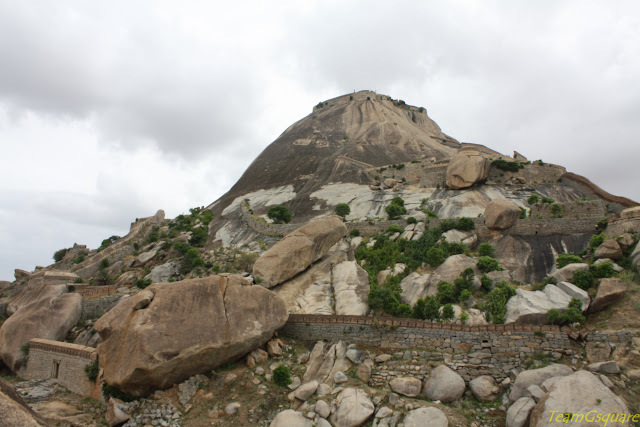 About: There is a small temple dedicated to Lord Hanuman on the top of the hill. The idol of Lord is in standing posture. Roads are there up to half way to the hill from here it is short trek. Hill is dotted with a large number of tamarind trees. About: Shree Revanna Siddeshwara betta or SRS betta is yet another popular trekking spot around Ramanagar and Kanakapura. 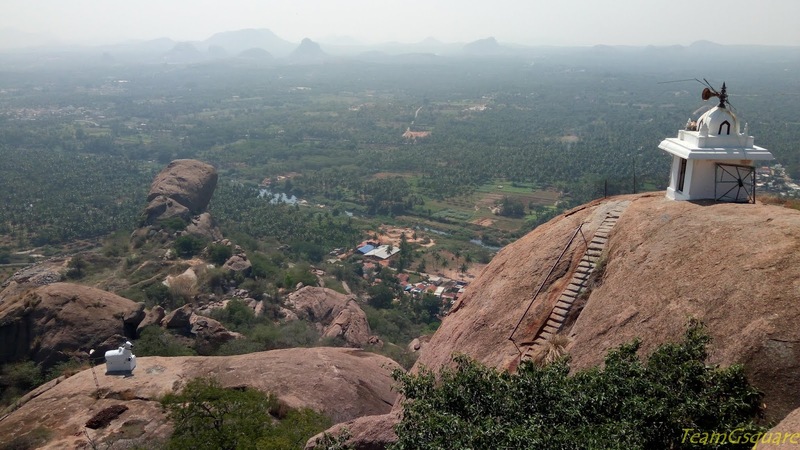 The rock cut steps with shelter lead us to the hill top after which a short descent brings us to a cave temple dedicated to Lord Revanna Siddeshwara. 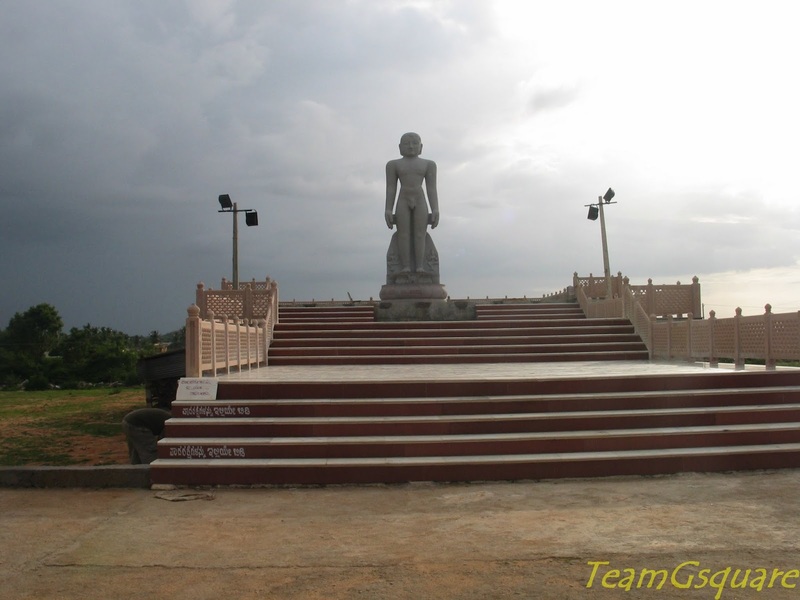 About: Kailasagiri is a modern cave temple near Chintamani town. This place is very close to Ambajidurga fort. A big cave is carved out of the hill here and many gods and goddesses have been installed. 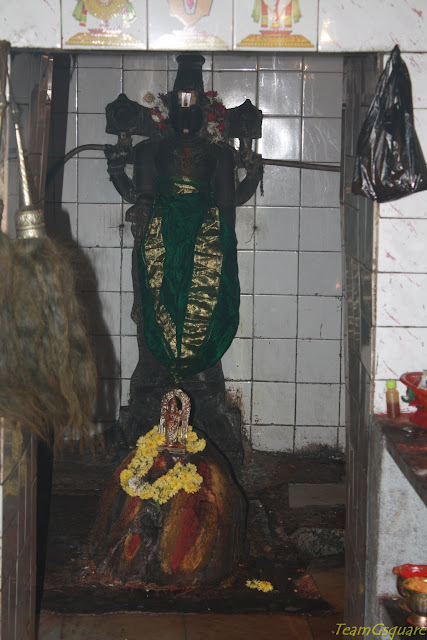 About: There is very big and ancient temple dedicated to Lord Gowri Gangadheeshwara, built during Ganga period. 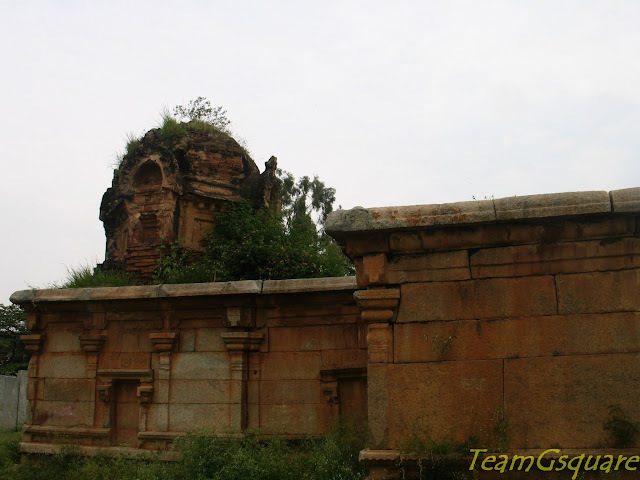 This temple has under gone renovations by Chola and Vijayanagara kings. 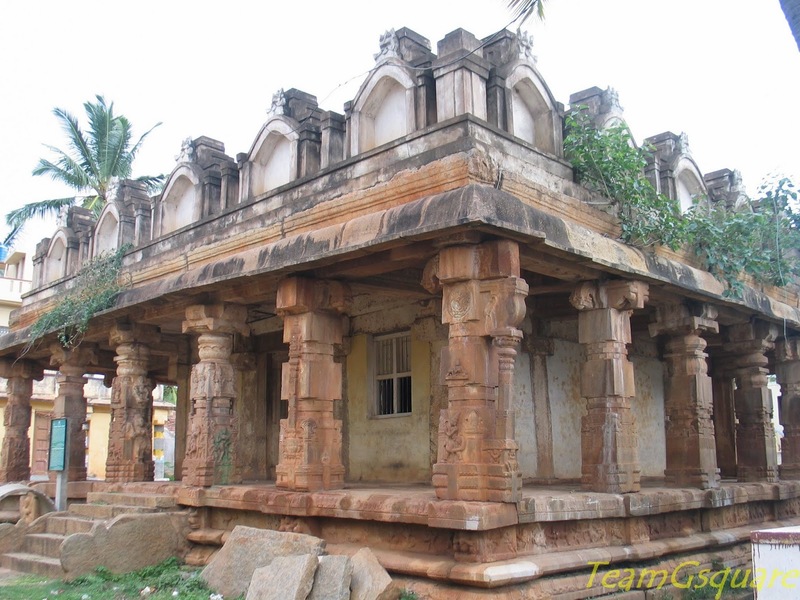 About: There is a very big and ancient temple dedicated to Lord Markandeshwara Swamy, built during the Chola period. This temple has undergone renovations by the Vijayanagara kings. One can climb up to the temple or choose to drive up to the temple owing to the presence of good roads. 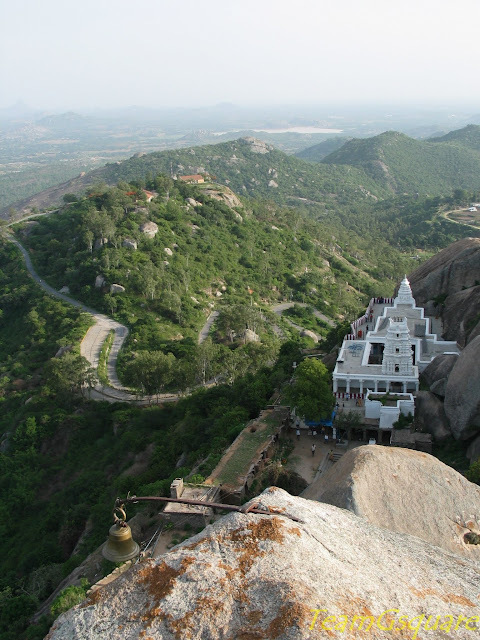 About: Siddara betta or Hill of Saints is one among the major pilgrim centre for locals of Tumkur, Bangalore and Kolar. There is a cave temple on top of the hill dedicated to Lord Shiva with perennial spring. The water from the spring is considered to have medicinal values due to presence various medicinal herbs here on the hill. There are many caves here which can be explored in leisure with a help of local guide. About: This is a very famous local pilgrim center but still lies unknown to most of the outside world. This place has much to offer. It is a complete entertainer. First of all, it is a great place for bird watching. We spotted Egyptian vultures, varieties of Kites and Eagles, Bee-eaters, Lapwings, and Silver Bills. There are high chances of spotting peacocks and peahens too, since it is home to many of them. There are many old and new temples at the foothill, mostly dedicated to Lord Rama and his disciple Lord Hanuman. The trek is very easy as steps are laid up to the top, though one can deviate. 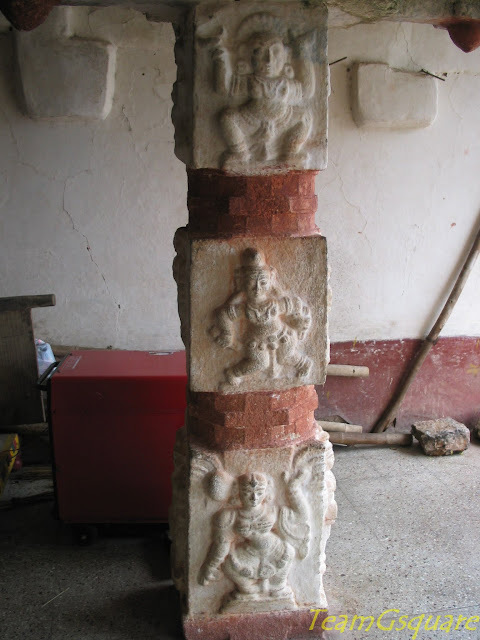 On the top, there is a pillar with an image of Lord Hanuman inscribed on it. 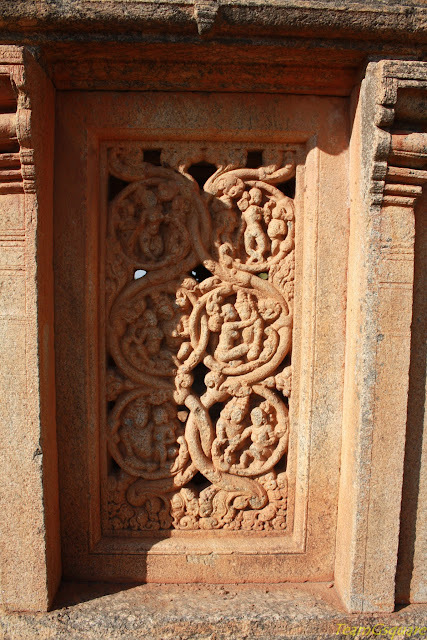 About: There are few temples here built during Chola/ Hoysala period. These temples have been restored by local people with help of Shri Dharmasthala Trust, so that we can still enjoy the grandeur of these temples. About: There is a temple dedicated to Lord Shiva here built during the Chola/ Hoysala period. 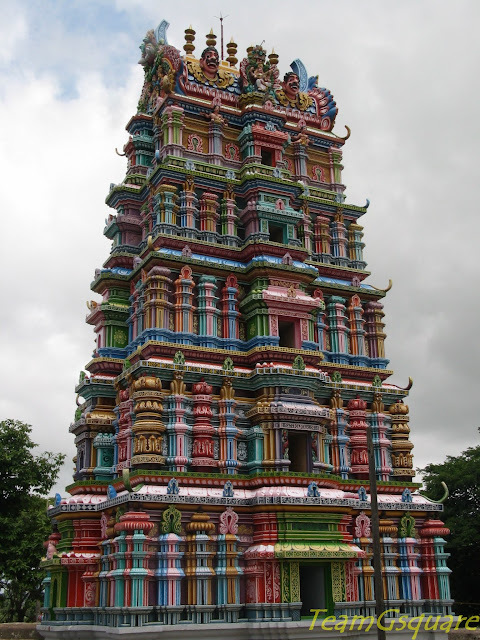 This temple has been restored by the locals with the help and support of Shri Dharmasthala Trust. 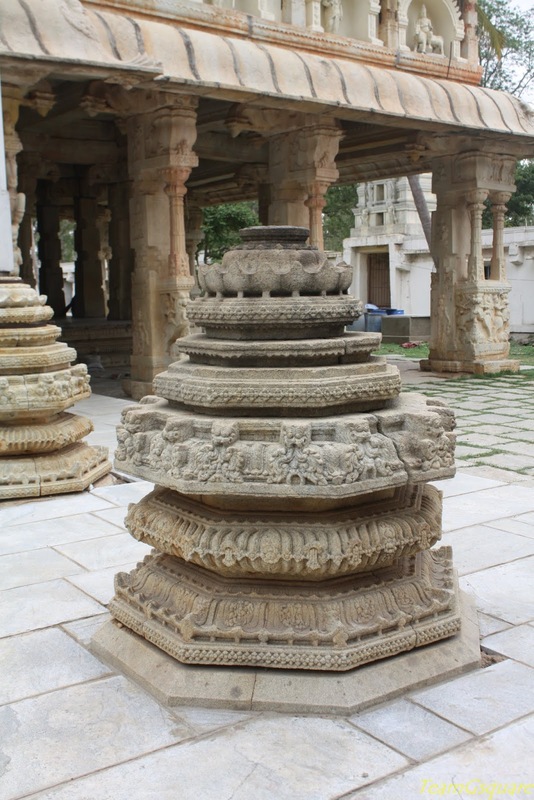 About: The Bhoga Nandeeshwara Temple here is one of the most beautiful temples around Bangalore; the original temple was built by the Nolamba Kings and later was improved upon by the Gangas, Cholas, Hoysalas and Vijayanagara Kings. 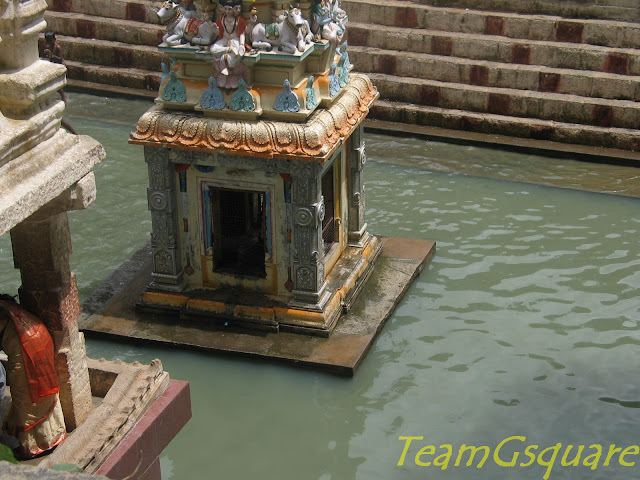 There is a beautiful stepped well besides the temple which is birth place of River Pinakini. About: Lord Ranganatha Swamy temple here was built along the lines of Srirangapatna and Srirangam (Tamil Nadu). The idol of Lord Ranganatha Swamy is very beautiful and the entire temple complex is grand. 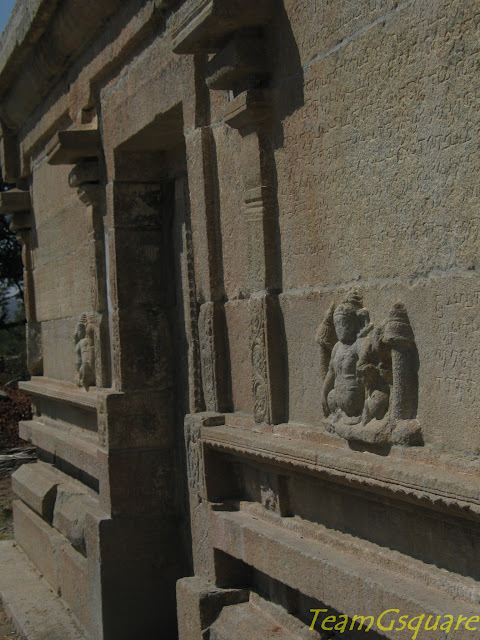 This temple was built by the Vijayanagara kings. 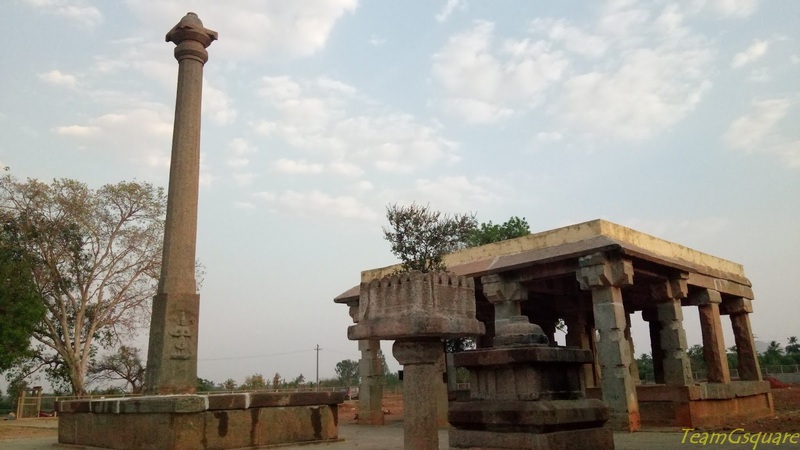 About: Kolar is a district head quarter with many historically significant places. 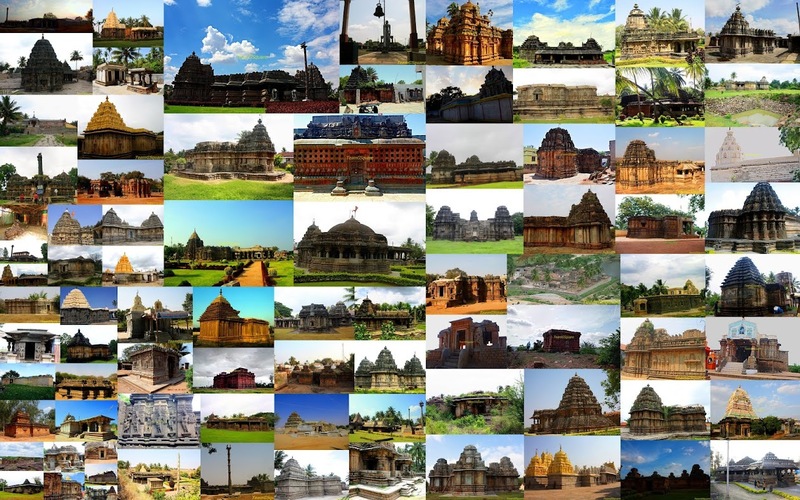 The temples of Someshwara and Kolaramma temple are the most important ones. 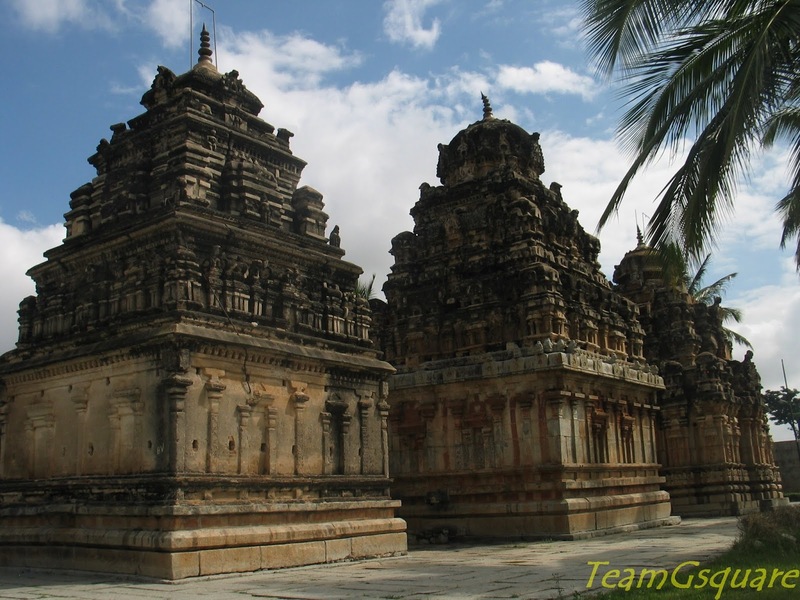 These temples were built during the Chola period and later improved by Vijayanagara Kings. There are many small temples dedicated to Lord Hanuman belonging to the Vijayanagara period. 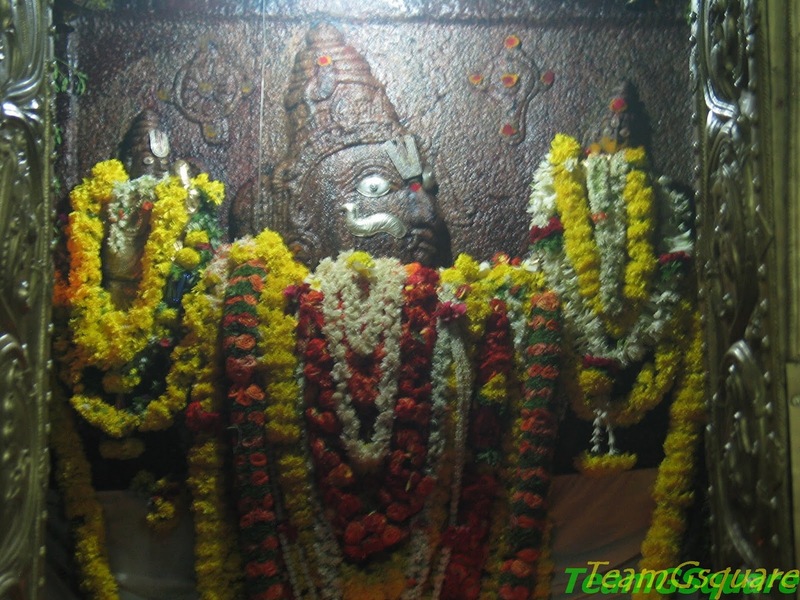 About: Goravanahalli Mahalakshmi temple is one of among the very popular pilgrim centers in Tumkur. There is anna prasadam served here during all days. About: Kunigal is famous for the lake here which get mention in few of local folk songs. There are many temples here among which the temples of Lords Narasimha Swamy and Someshwara are prominent ones. The Narasimha Swamy temple built during the Hoysala period is situated in Kunigal town while the Someshwara temple built during the Chola period is situated on the bank of Kunigal Lake. About: Hebbur was an erstwhile agrahara having 101 temples and stepped wells. Though many of them have vanished today, we can still see few of them and admire the architectural skills of our fore fathers. The Sri Chakra temple inside the Kodandashrama is the most prominent temple here. 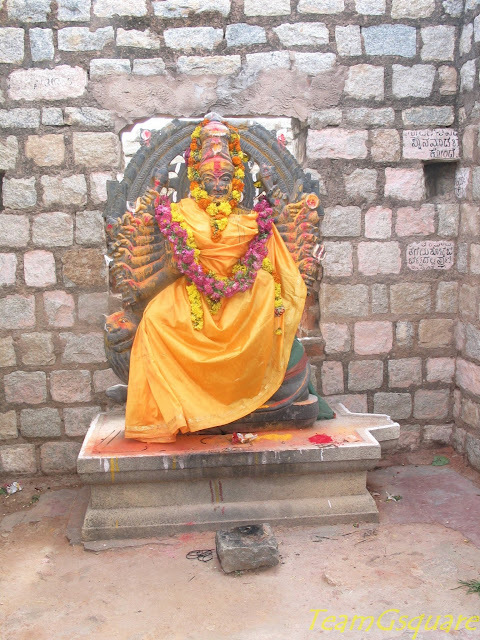 About: Seebi has a temple dedicated to Lord Narasimha Swamy. According. 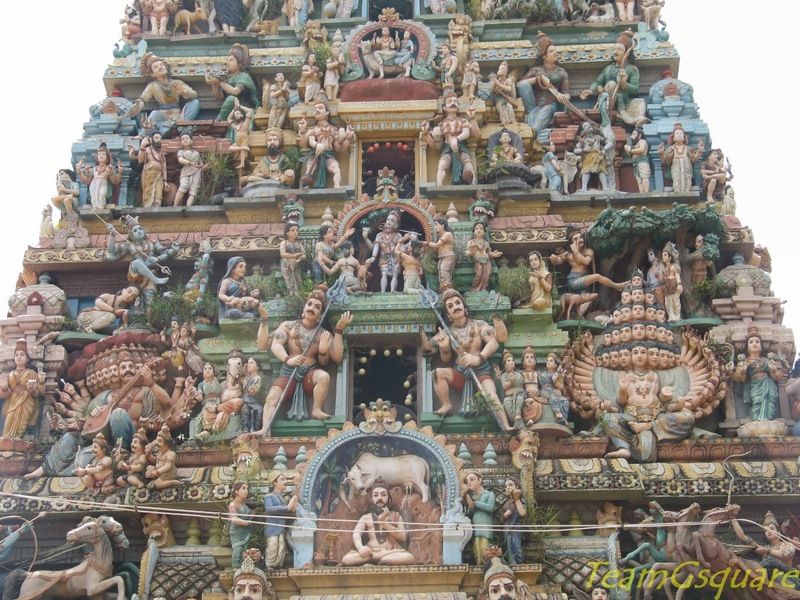 The main features of the temple are that the god here is in the form of a rock and the temples ceilings house various paintings depicting stories from the Mahabharata and the Ramayana. These paintings currently are in a bad shape and need restoration. The temple architecture is simple and walls are filled with sculptures of various gods and goddesses made of terracotta and lime .They lay weather-beaten yet beautiful. The temple is under the process of renovation .Photography inside the temple is prohibited. There is also a Kalyani near the temple. About: Marehalli is an old agrahara of the Ganga dynasty, who built a grand temple here dedicated to Lord Lakshmi Narasimha Swamy. 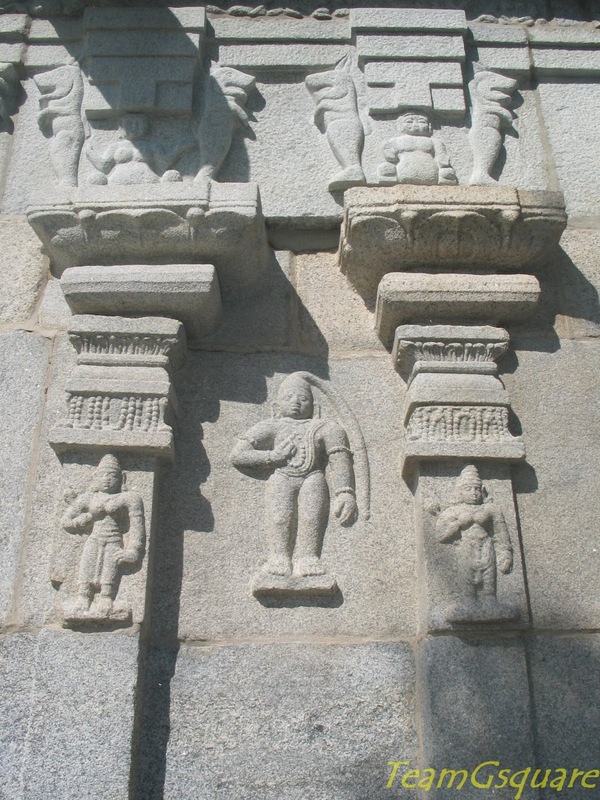 Later the Cholas, Hoysalas, Vijayanagara kings and the Wodeyars have contributed to the development of this temple. About: The hills around Hunukunda are recognized to be a megalithic site. There are many temples here built by various kings. Major ones are the cave temple dedicated to Saptamatrikas, Someshwara temple, and Chowdeshwari temple. 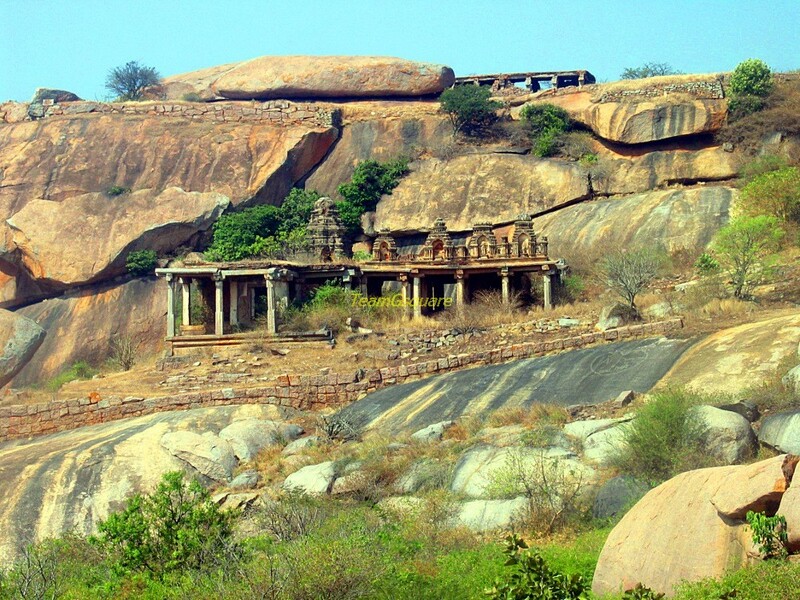 About: Virupakshi was an erstwhile agrahara during the Vijayanagara period. 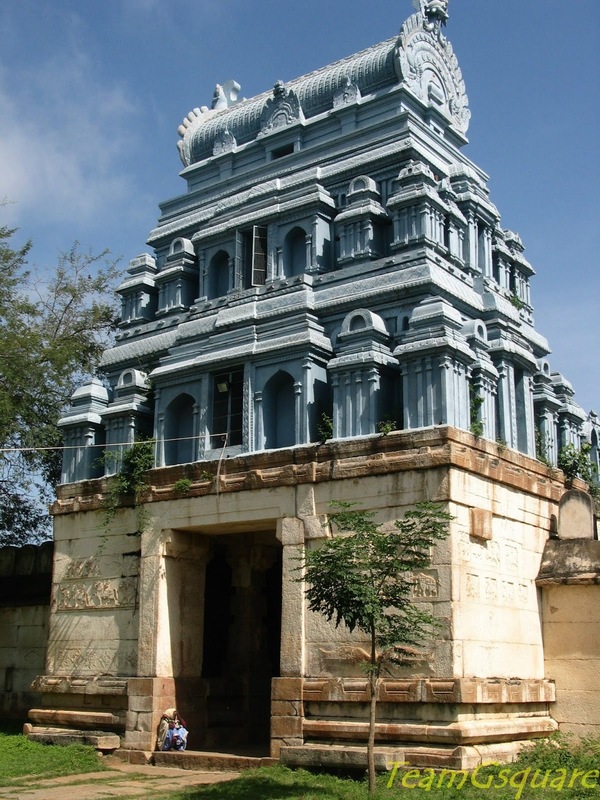 There is a grand temple dedicated to Lord Virupaksheshwara (Lord Shiva) built by the Vijayanagara kings. A unique feature of linga here is its changing color with the time of day. About: The specialty of this place is the very famous Maddur Vada, a favorite snack of many. 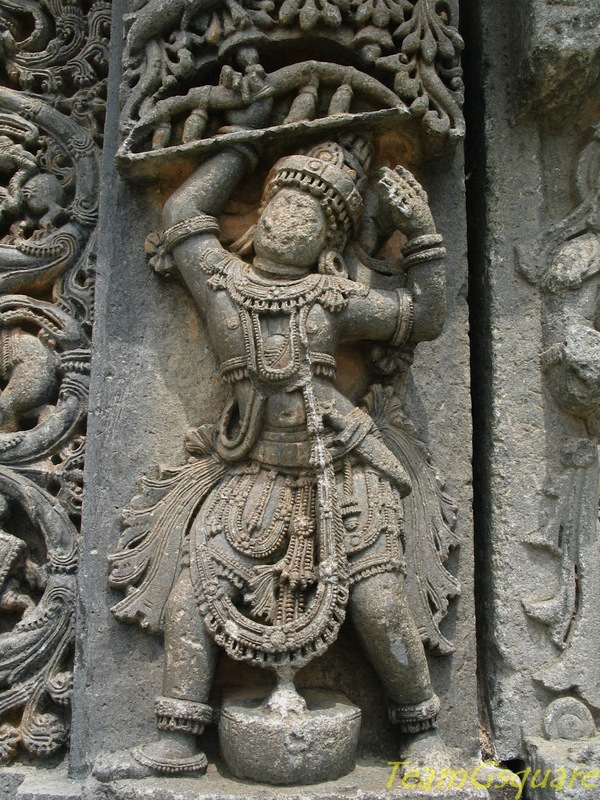 There are two ancient Hoysala temples here dedicated to Lord Lakshmi Narasimha Swamy and Lord Varadaraja Swamy. The best place to have tasty Maddur Vada is the Maddur Tiffanys. About: Shri Channabasaveshwara Swamy temple is a huge temple built in the late 18th century and houses a grand Rajagopuram. There is a stepped well besides this temple. There are many other temples in the town. The famous Kannada theater director Padmashree Gubbi Veeranna was born here. 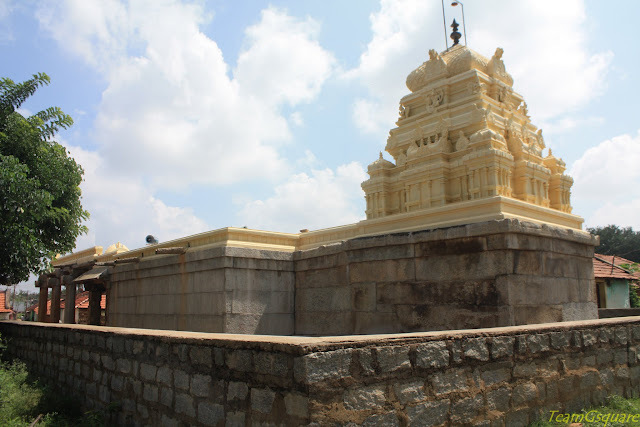 About: The Lakshmi Venkateshwara temple here is built on the lines of the Tirupati temple and its closeness to Kolar Gold fields has given it the name Bangaru Tirupathi. There is a beautiful water tank near the temple. About: Kotilingeshwara temple is a place numerous Shiva Lingas are installed with an aim to exceed more than a crore in number. Devotees make a wish and then install Shiva Lingas upon its fulfillment. About: Herur is small town with two ancient temples dedicated to Lord Uma Maheshwara and Lord Lakshmi Naryana built during Hoysala period. 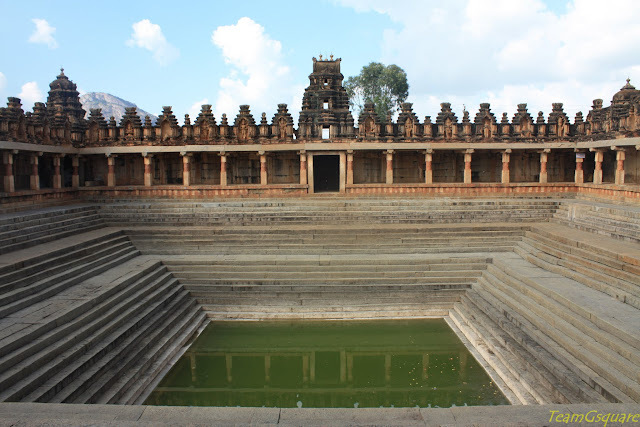 About: There are two temples here dedicated to Lord Chennakeshava and Lord Someshwara, built during the Hoysala period. 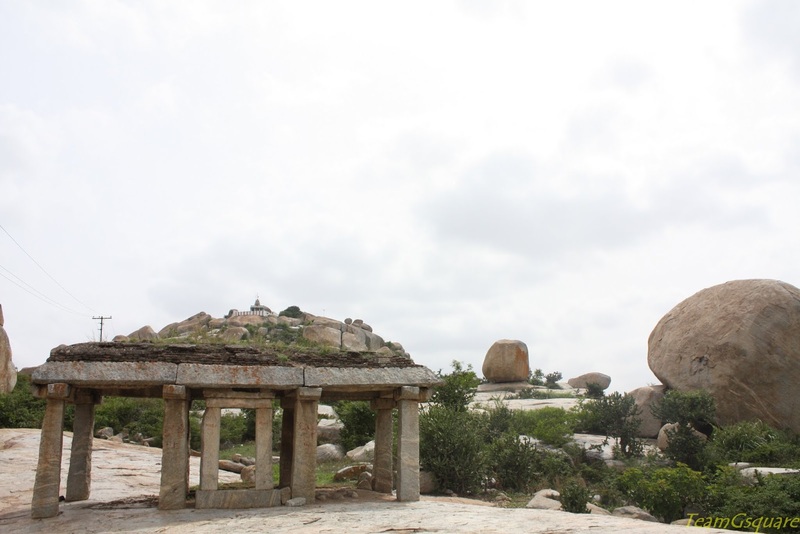 Later these temples were improvised by the Vijayanagara Kings. There is a tomb of Fakirswamy at the entrance of Someshwara temple; the same is being worshiped by the local people of all communities. About: The Keshava/Kesava temple here is a classical Hoysala masterpiece and a perfect place to study Hoysala architecture. About: There are many temples here built during the Hoysala period among which the temples of Adimadhava temple and Mulesingeshwara are prominent. About: Sri Venkateshwara temple is a popular pilgrim centre near Kanakapura, often referred to as Chikka Tirupati. There is an ancient Hanuman temple on a small hillock nearby. 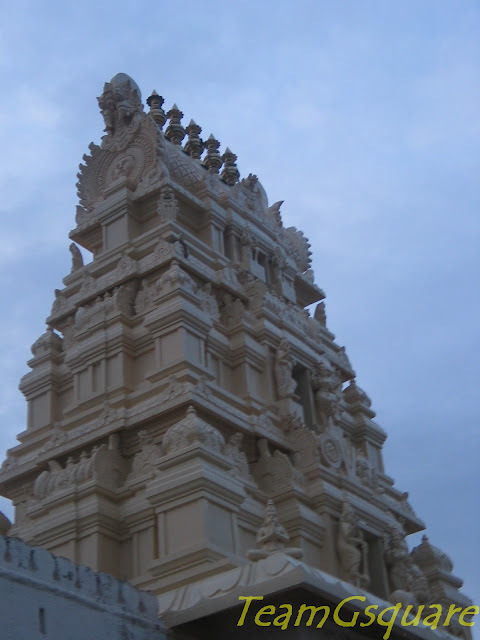 About: Sri Venkateshwara temple here is a popular pilgrim centre near Bangalore. The temple was built in late 18th century and has undergone several modifications over the years. 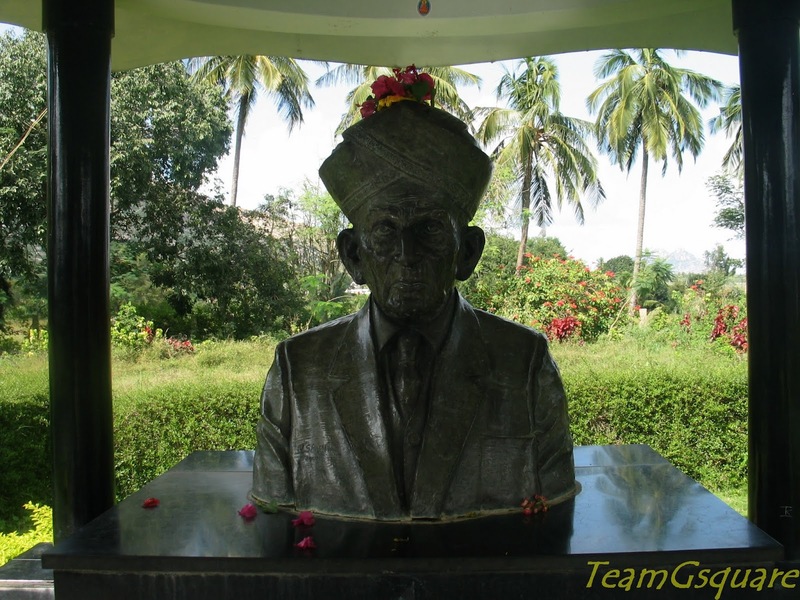 About: Sir M Visvesvaraya, one of the greatest engineers of India was born here and a memorial is built here in his honor. 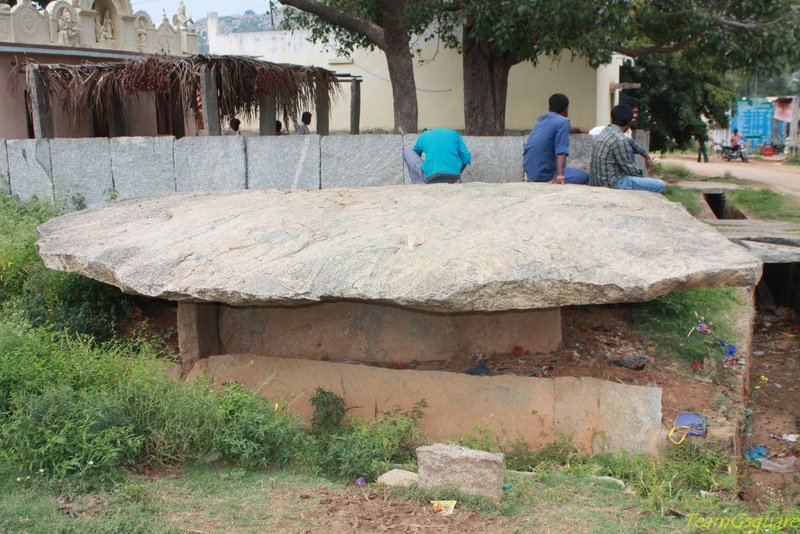 About: Arabi Kothanur has the largest Dolmens we have seen so far, locally called as Pandava Gudi. There are many hero stones nearby this site depicting war scenes. There are a few temples here belonging to the Hoysala period which now have been completely renovated into modern structures. 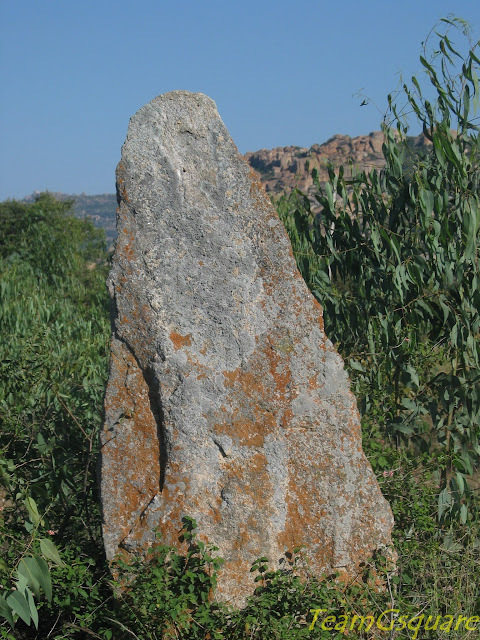 On a nearby hillock, there are many dolmens which are locally called ‘Huli-Bonu’ or ‘tiger-den’. Congratulations :) Happy Blog anniversary. Awesome post , Thank you. Great Post. A comprehensive list of places, several unknown to many people. This will definitely help in planning weekend outings.. Thanks for the post!! And congrats on the anniversary! WOW! A fitting celebration of Team G Square (or should I say Cube), the blog that I have known and loved reading for so many years. Congratulations, thank you for taking us to do many beautiful places and here's to the journey - many many miles more! And what about this post?....i am speechless. Wish you happy blog anniversary. Your blog has been treasure trove for travel enthusiasts. Totally impressed with your list. Thanks for all the info. Congratulations! How admirable that you have a long term of blog keeping! Such a well compiled list. Great job! Great to see all these wonderful places and the view from a high point on the rocks. Now this is some list! Karnataka and MP are my favourite states - for the sheer variety and the good work being done by the concerned agencies in preserving the heritage. Bangalore a place known for its popularity destinations of resorts, waterfalls, forts, Hills, pre-historic sites, temples. Around Bangalore location, there are so many places are there: such as chikkajala, condone, Devanahalli, savandurga. 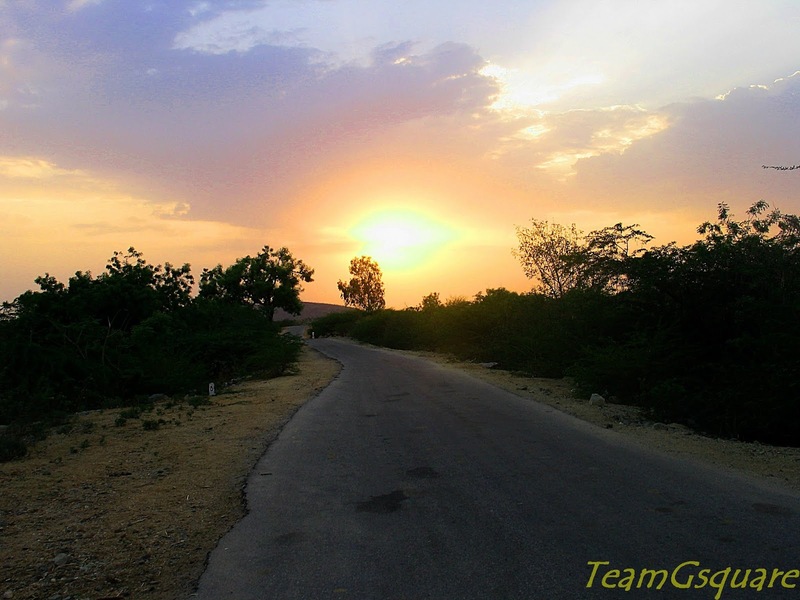 Team G Square has created the first documentary in blog sites for the Team outing, it is a travel site. So Team G Square celebrates its 7th anniversary for a great first blog in cities. this site's of slides are speechless and awesome. This site is best sites as compared to other sites (feverpitchholidays.com). Heartfelt thank-you to all for your best wishes and constant encouragement...Keep it going and we will never stop!